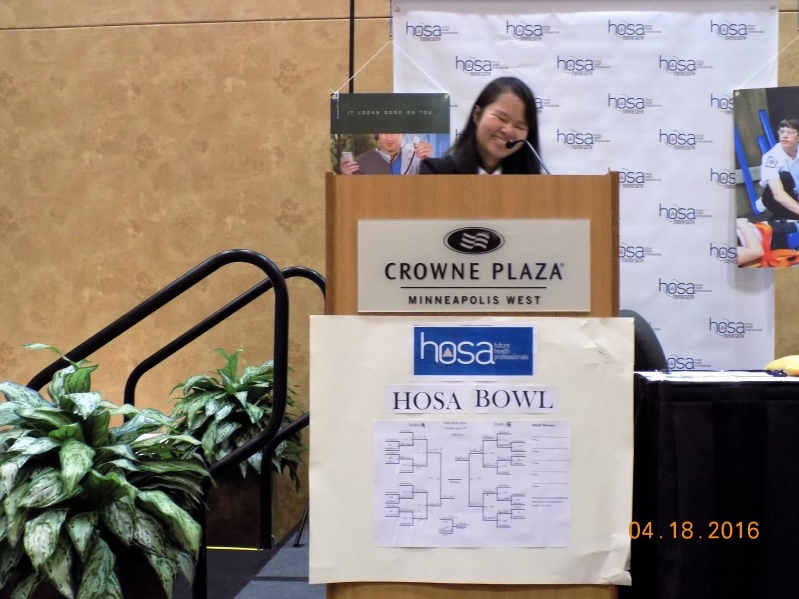 MN HOSA have now completed their year of 2015-2016 and preparing for the upcoming year with conferences, MRC activities and Community Service Projects. 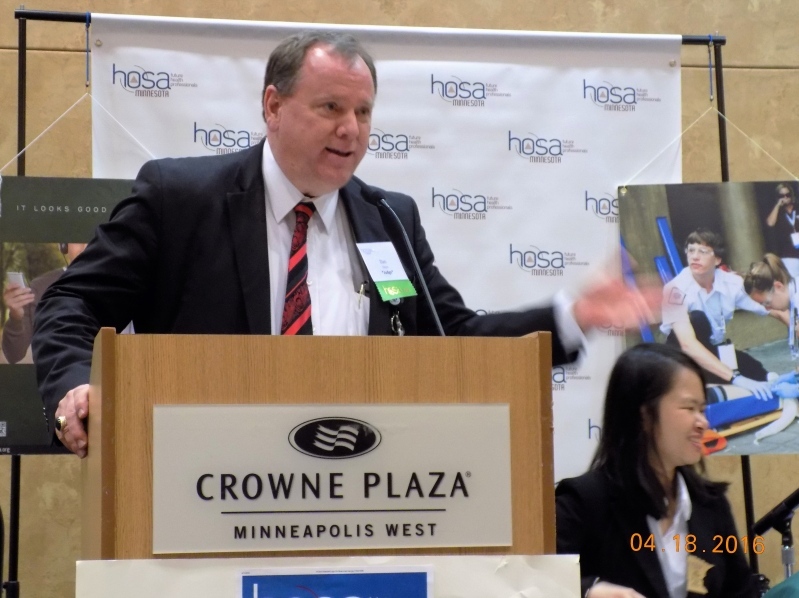 We ended the year with new chapters, strong MN HOSA Board and an increase of membership reaching over 1,000 with 1,035 and a lot of very energized Future Health Professionals. 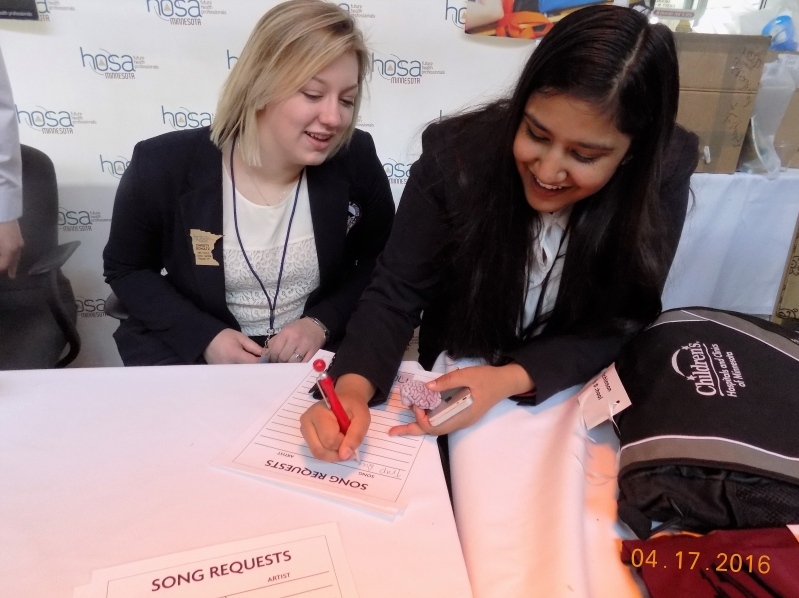 Over 300 HOSA Members attended this year's MN HOSA State Leadership Conference. 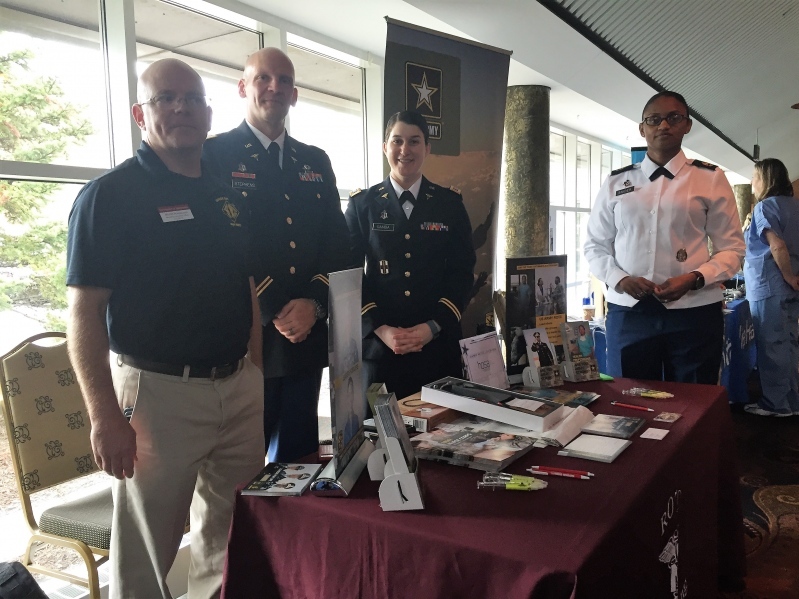 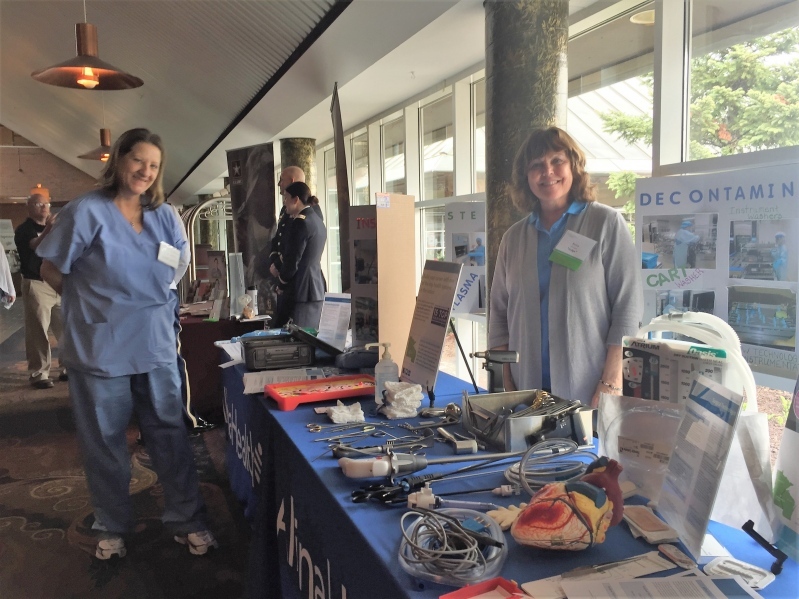 Those participants competed in over 45 events that included knowledge tests, Professional Skilled Events, Emergency Preparedness Events, Leadership Events, Teamwork events and Recognition. 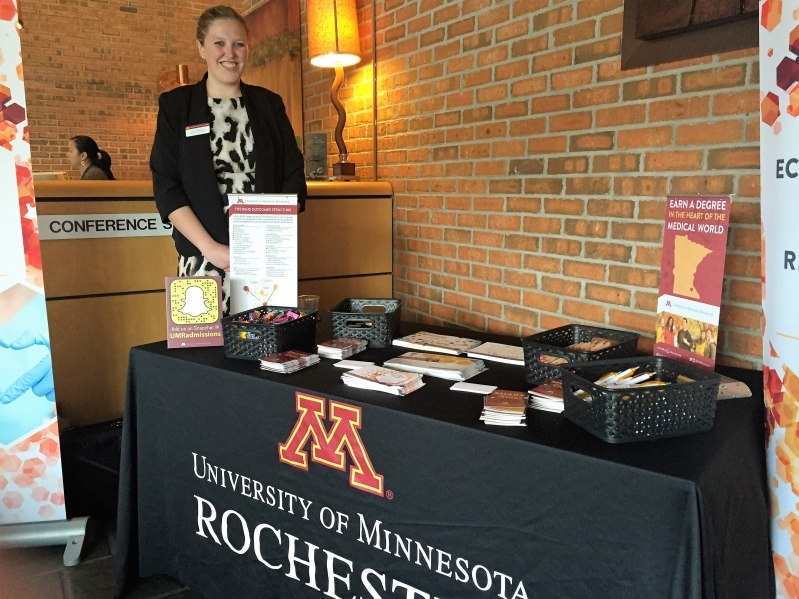 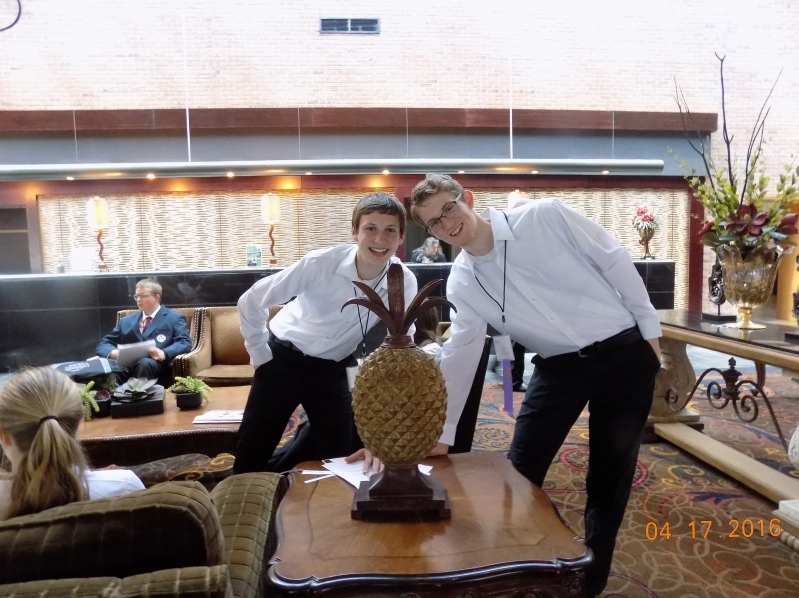 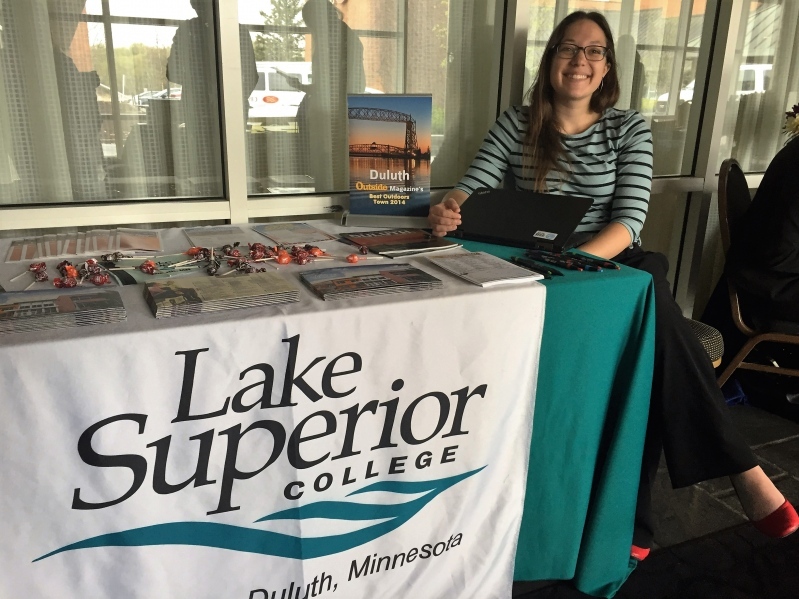 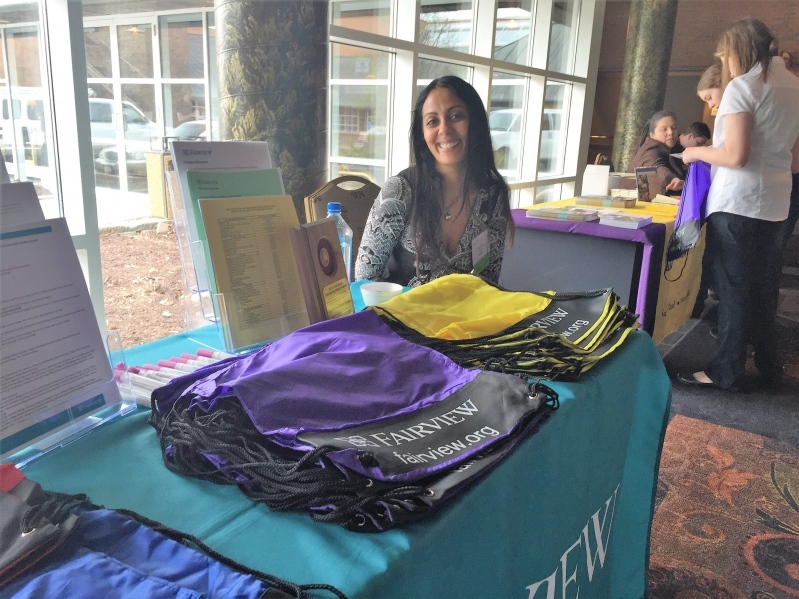 The State Conference was held at the Crown Plaza in Plymouth, MN April 17 & 18. 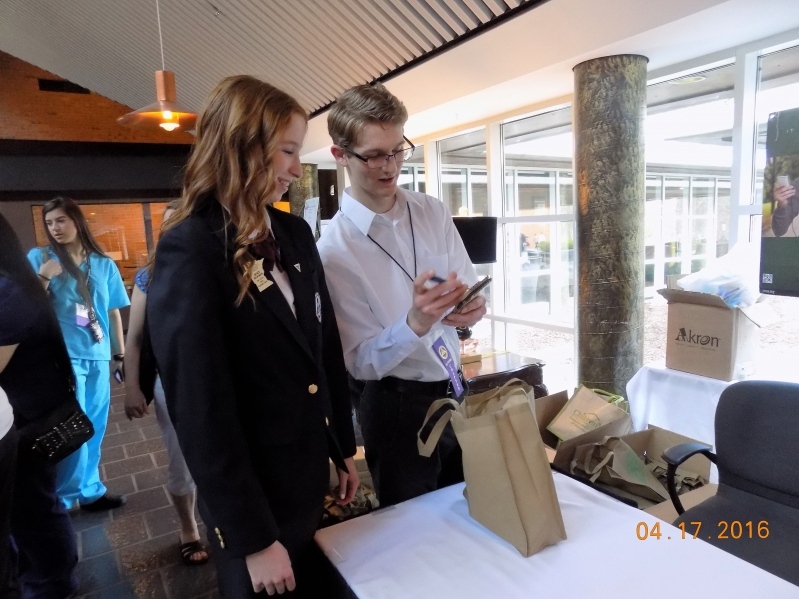 The days were filled with competitions, educational sessions, and exhibitors. 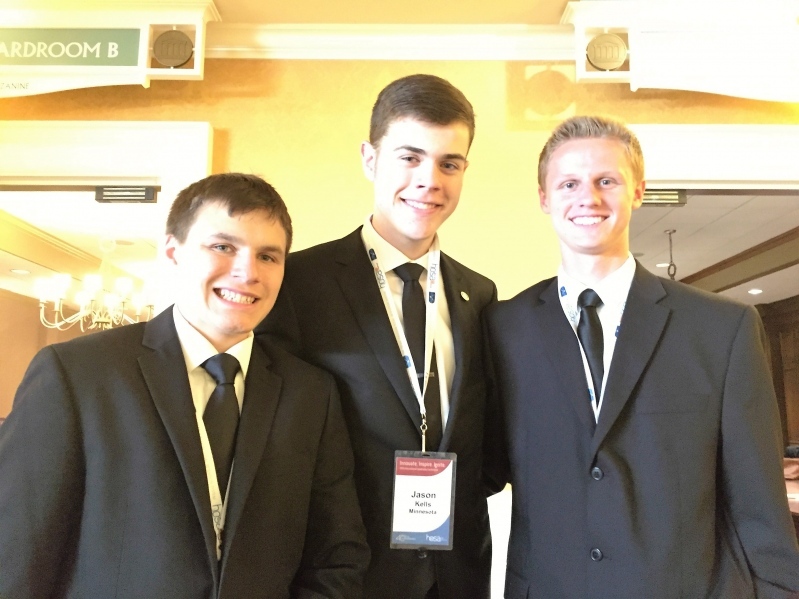 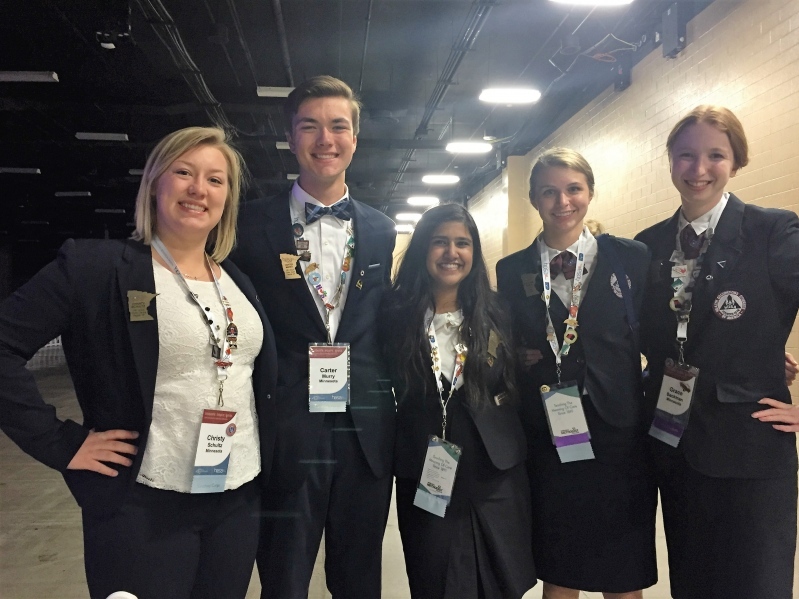 The progress of the conference days was organized by this year's State Officer Team. 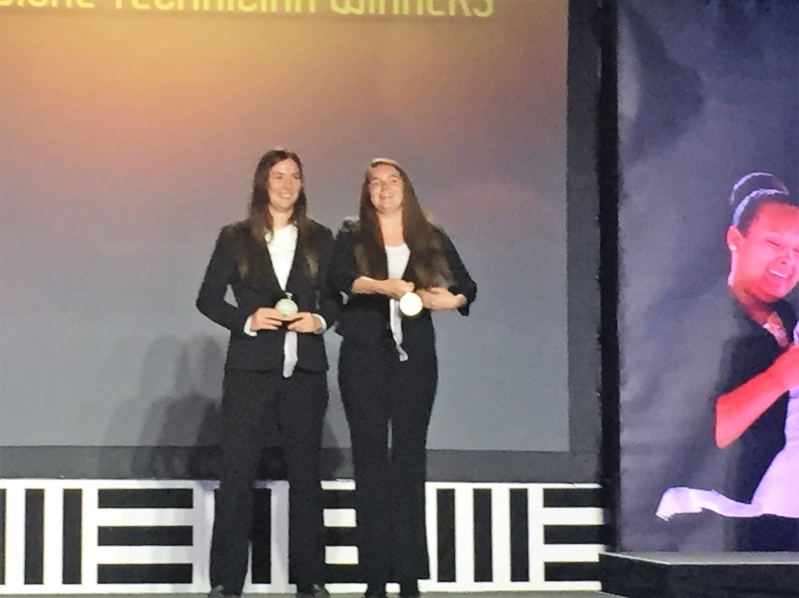 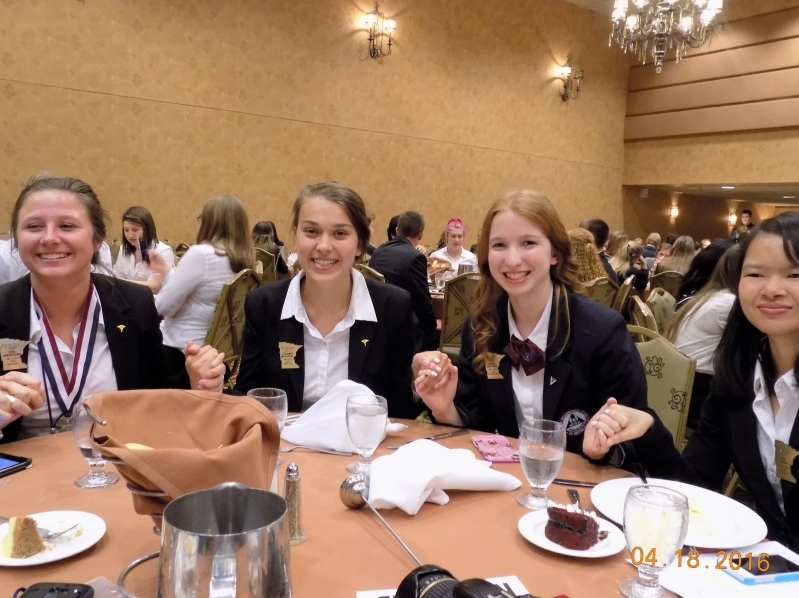 The conference included a recognition dinner and an awards banquet to announce the top 5 places in each event. 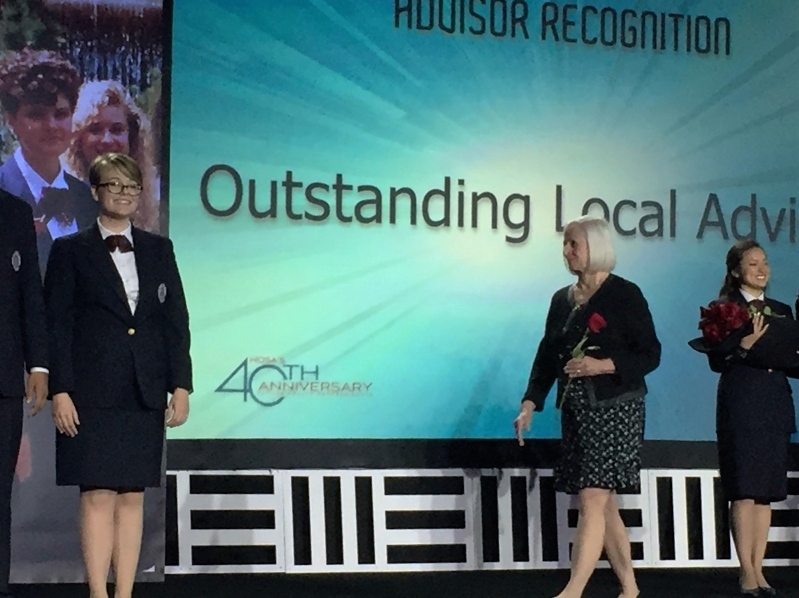 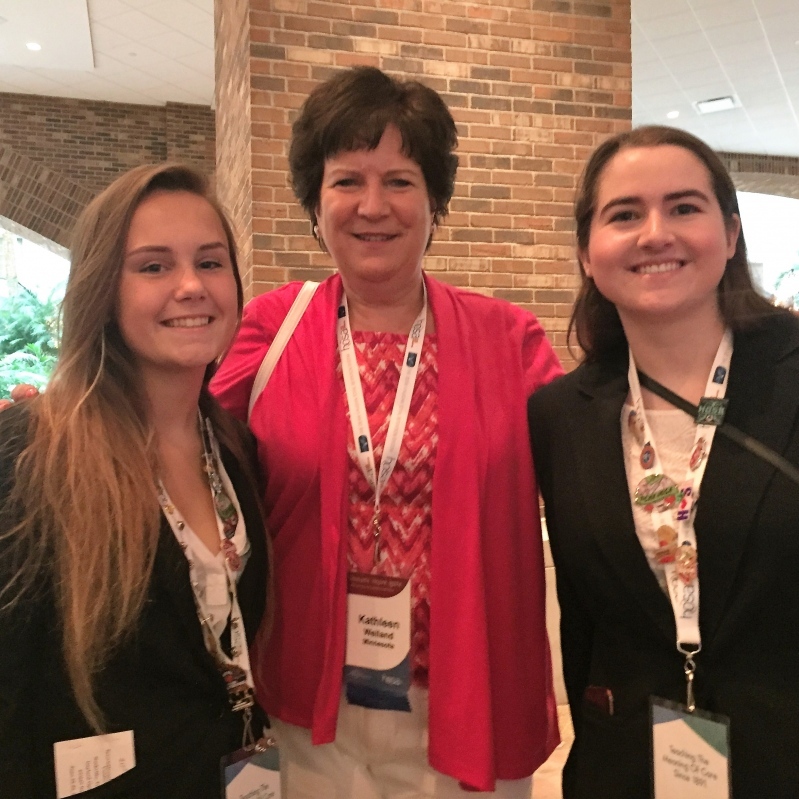 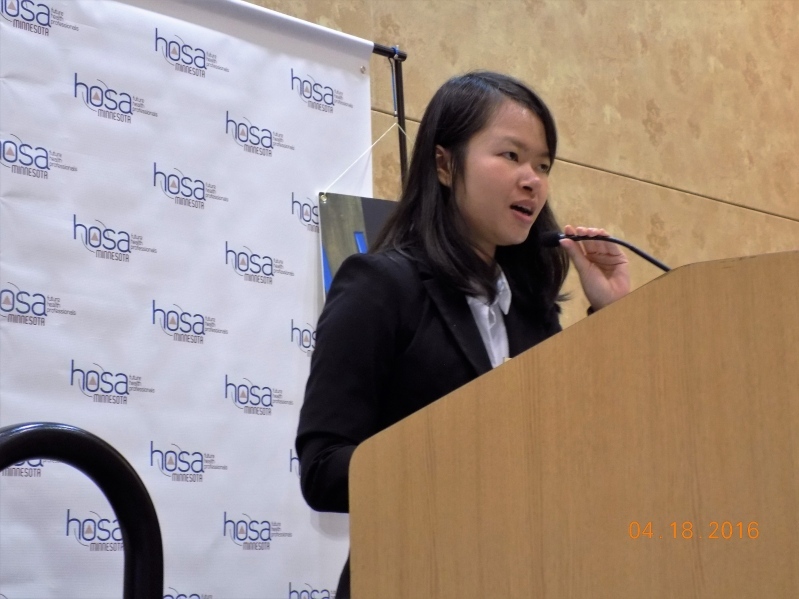 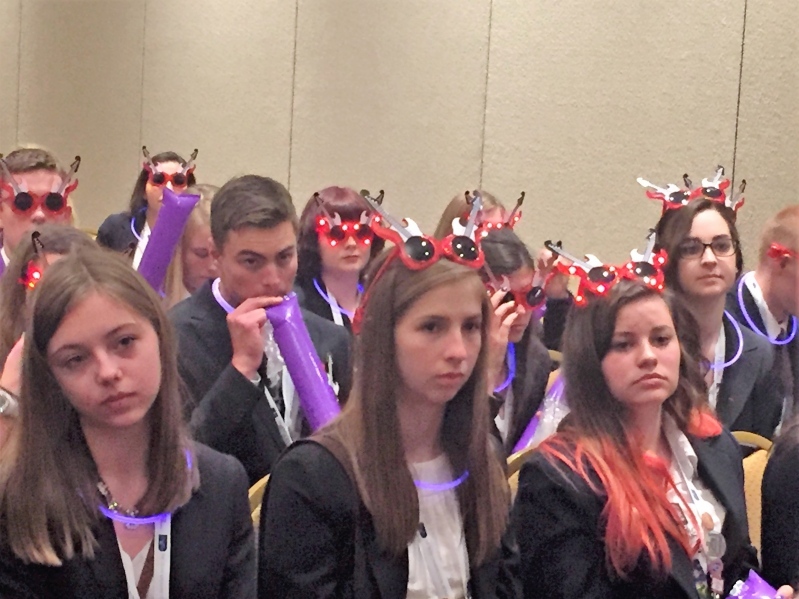 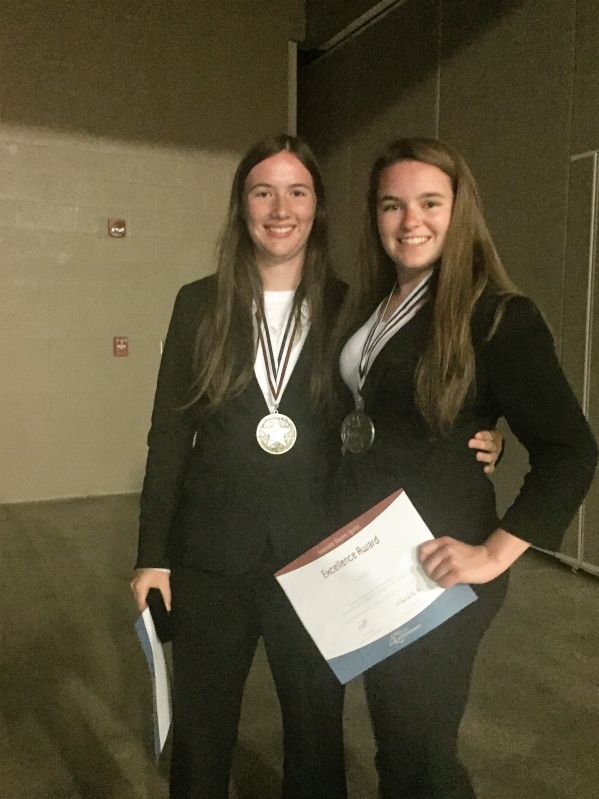 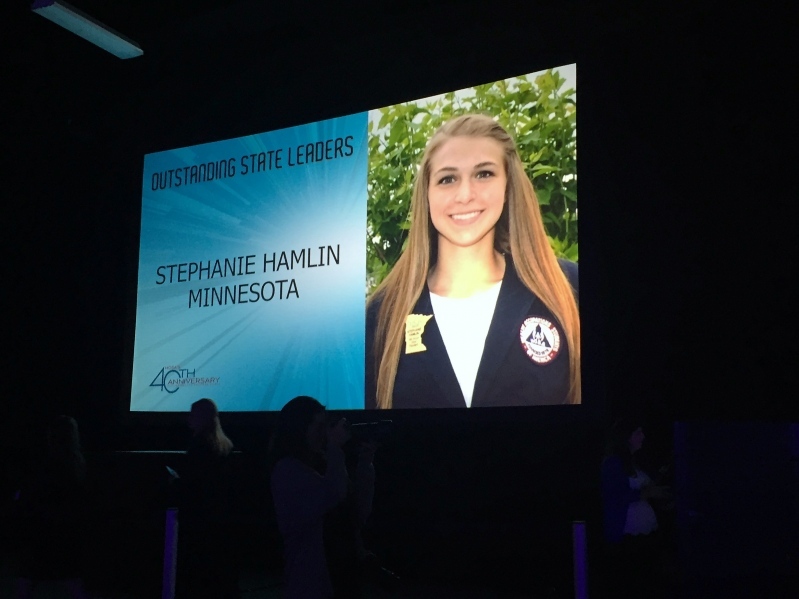 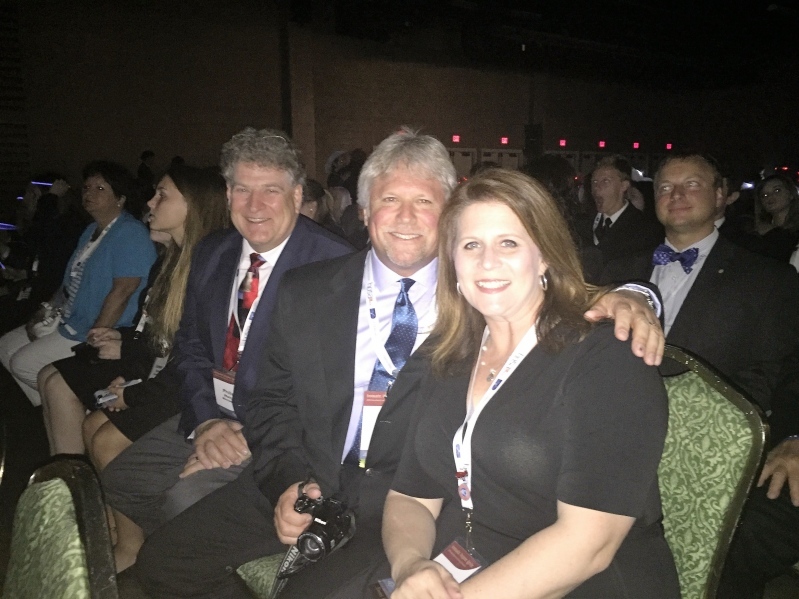 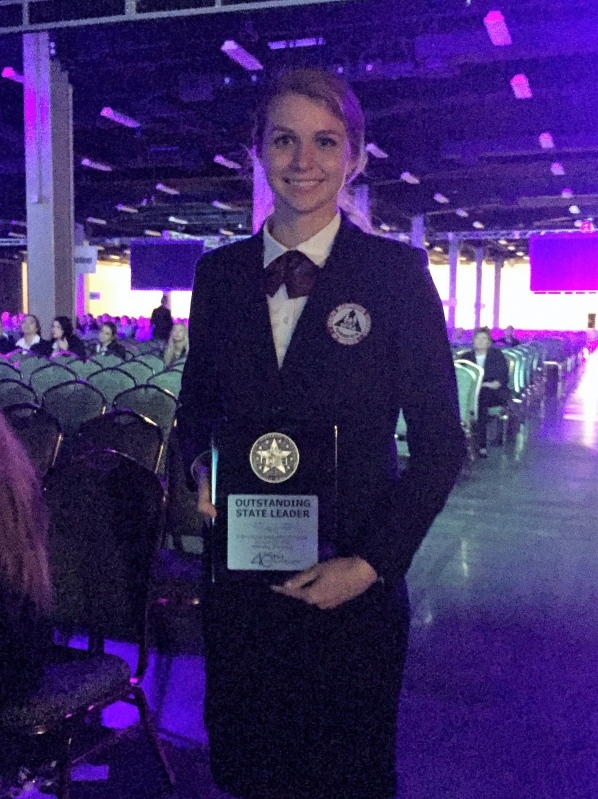 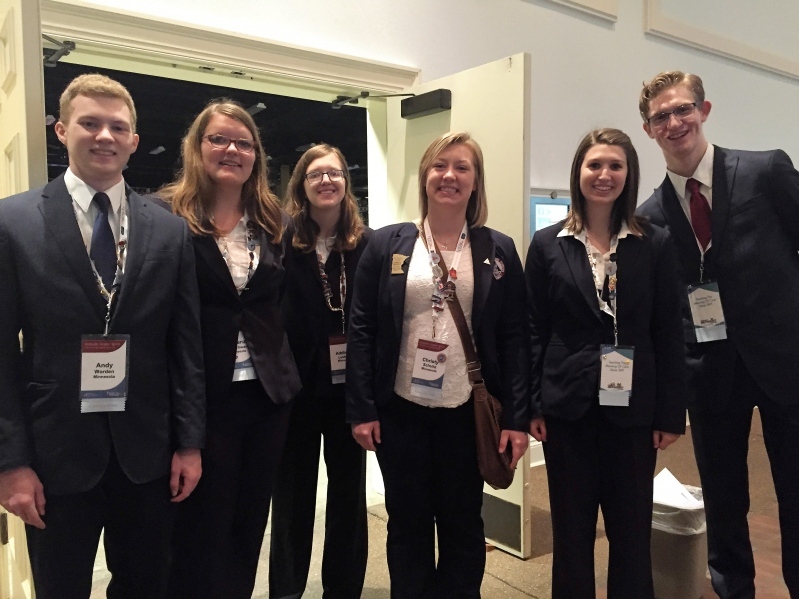 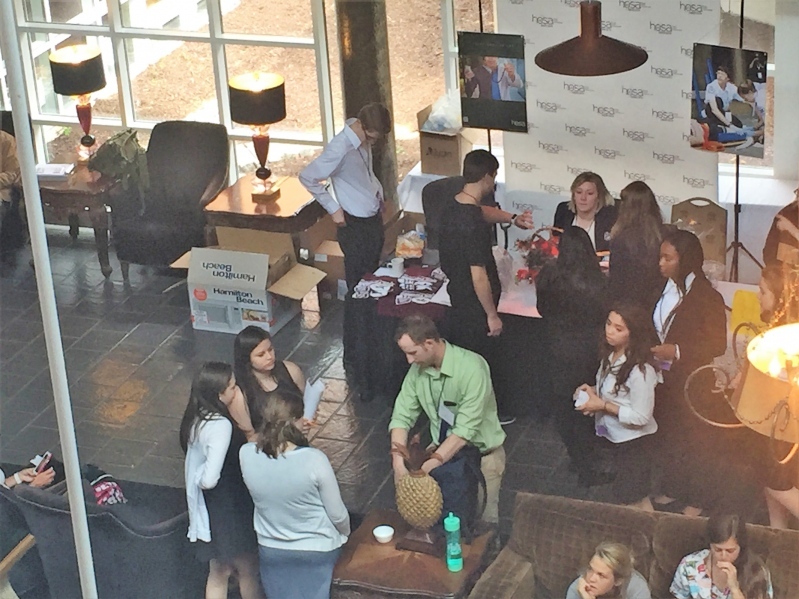 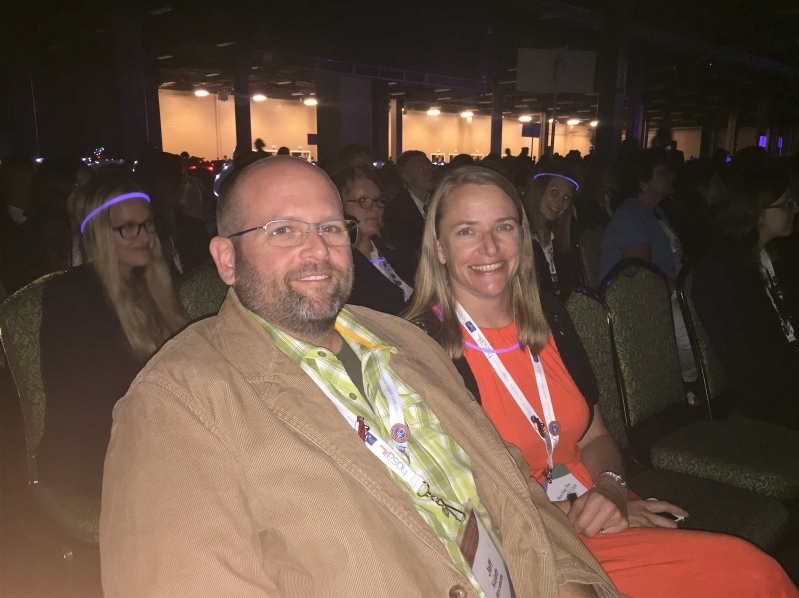 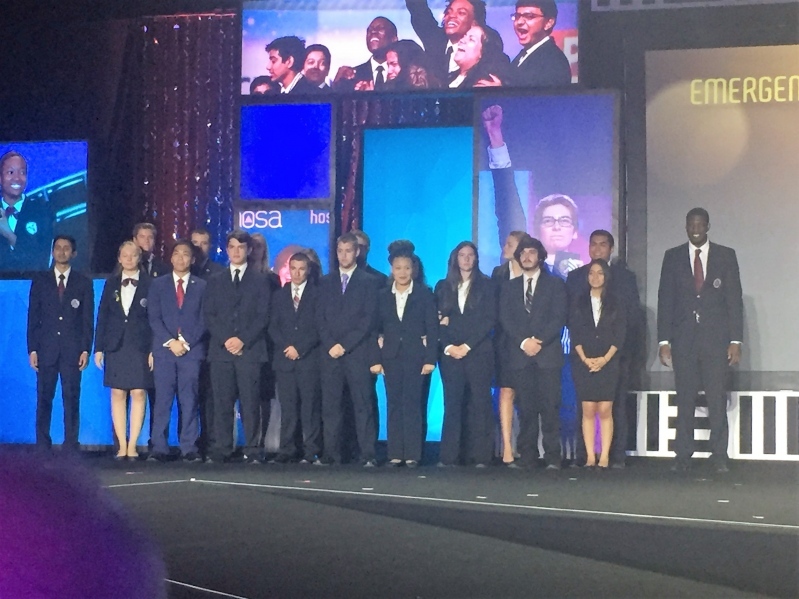 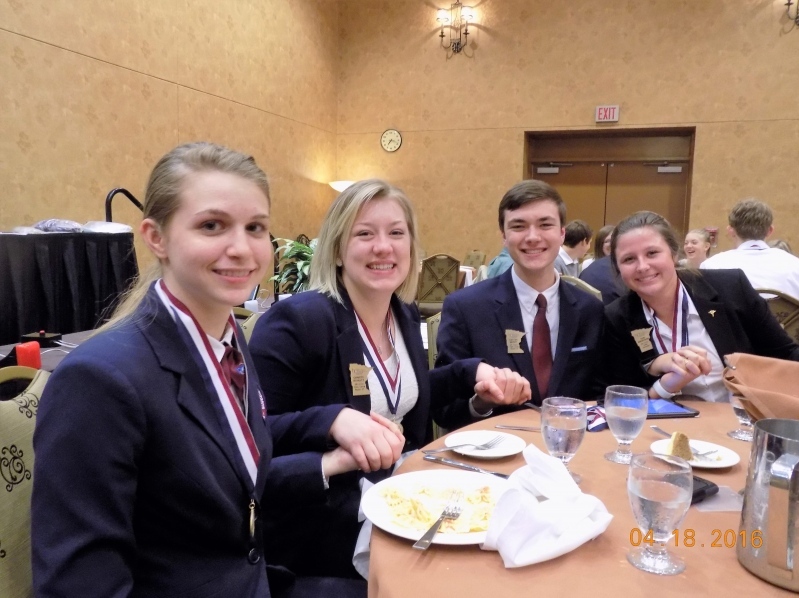 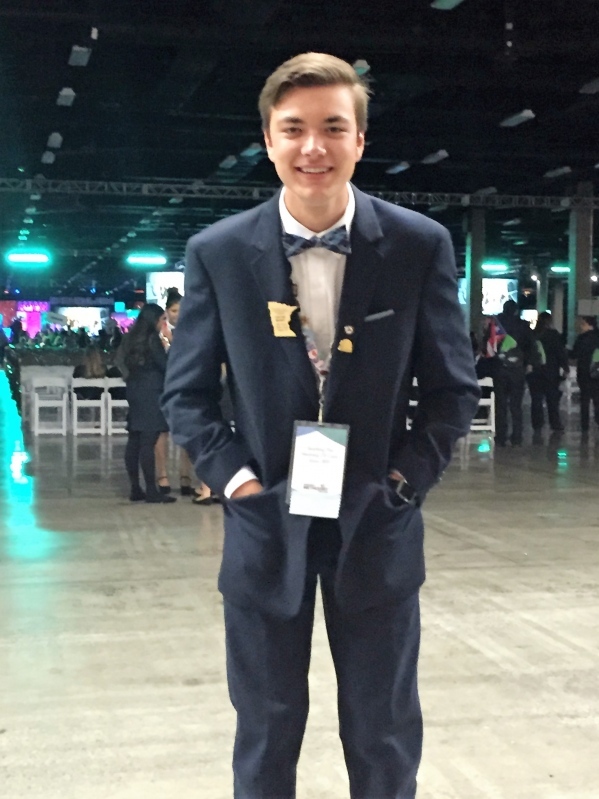 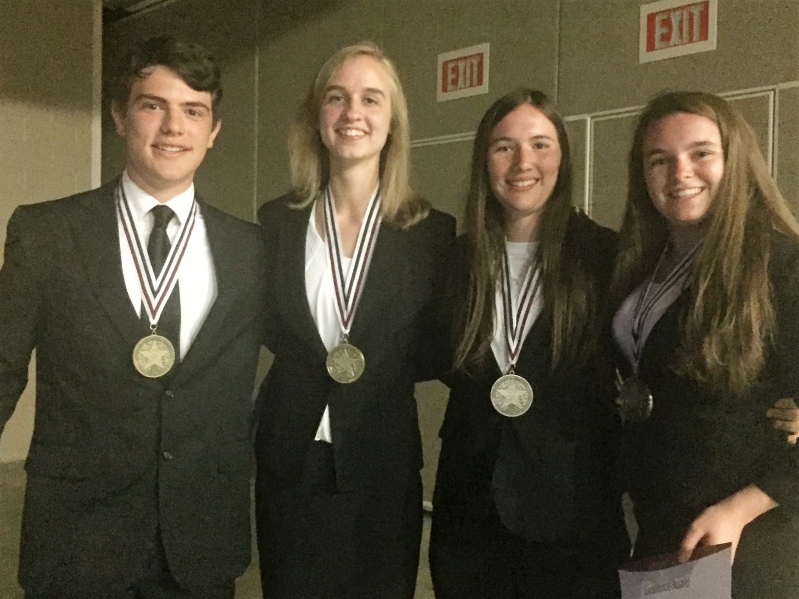 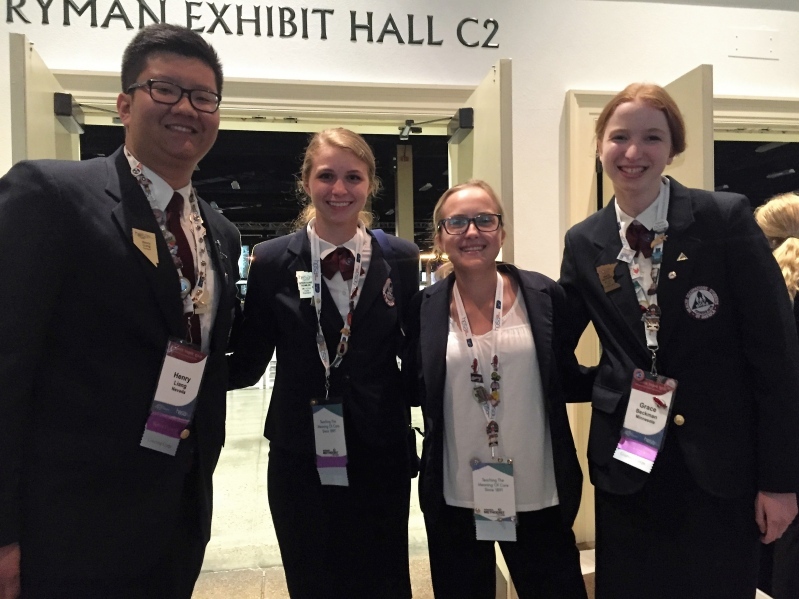 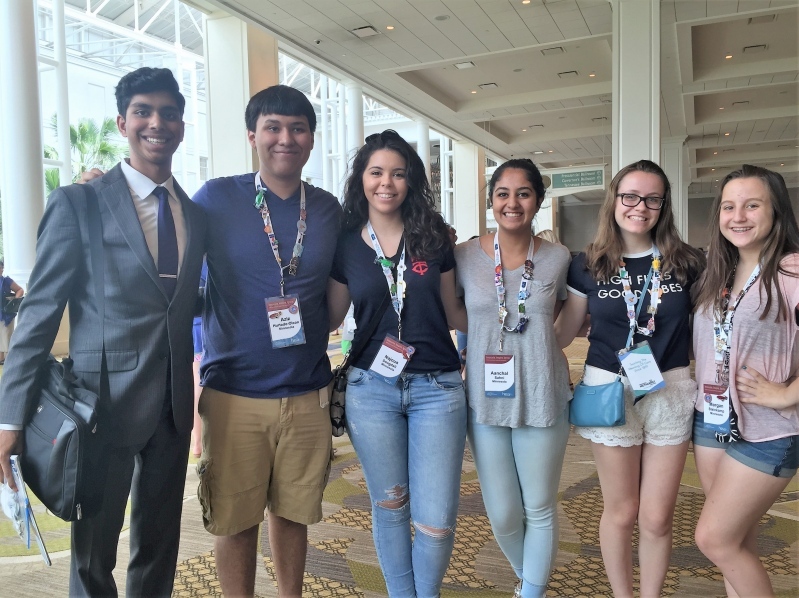 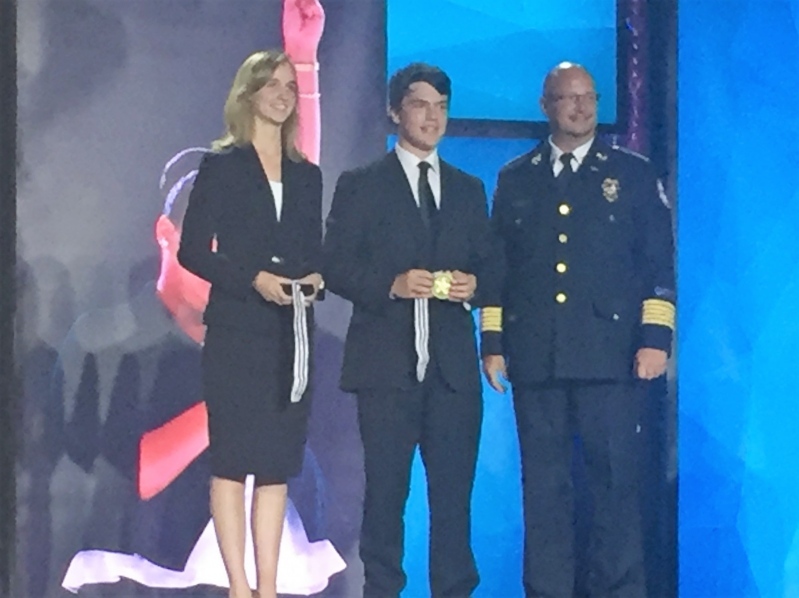 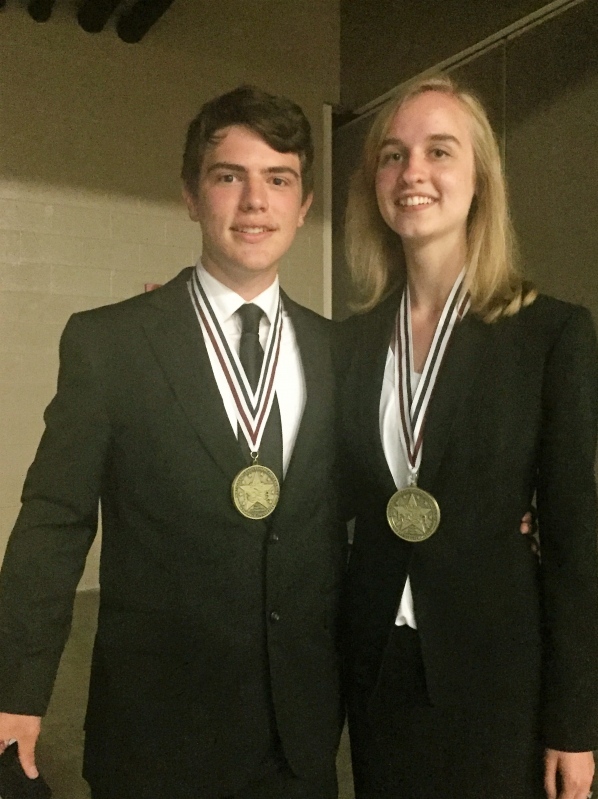 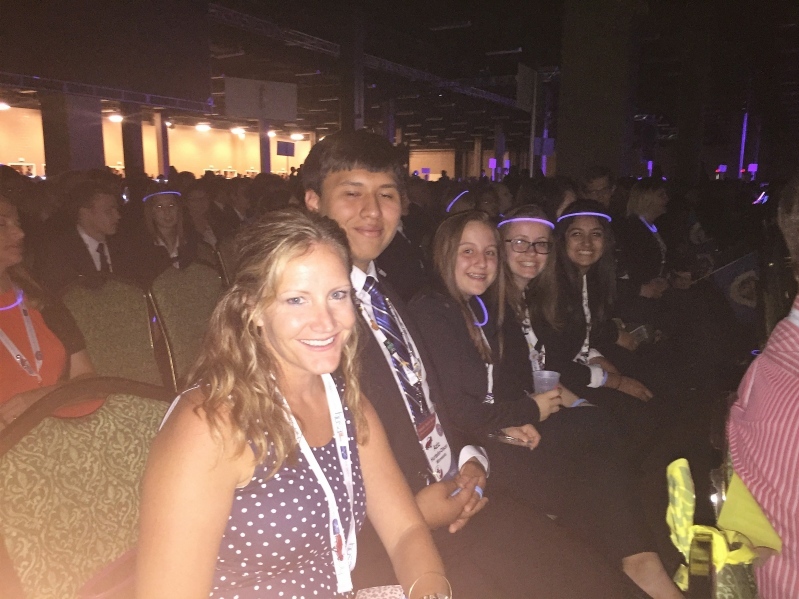 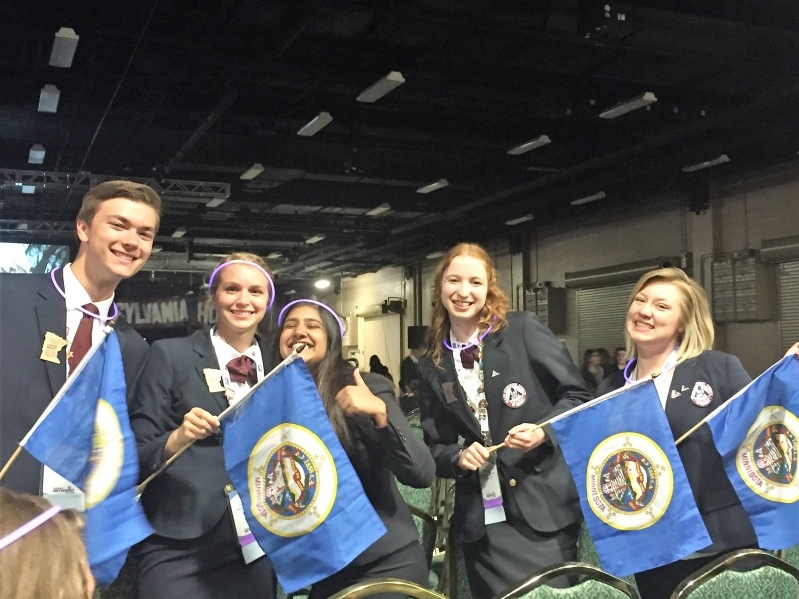 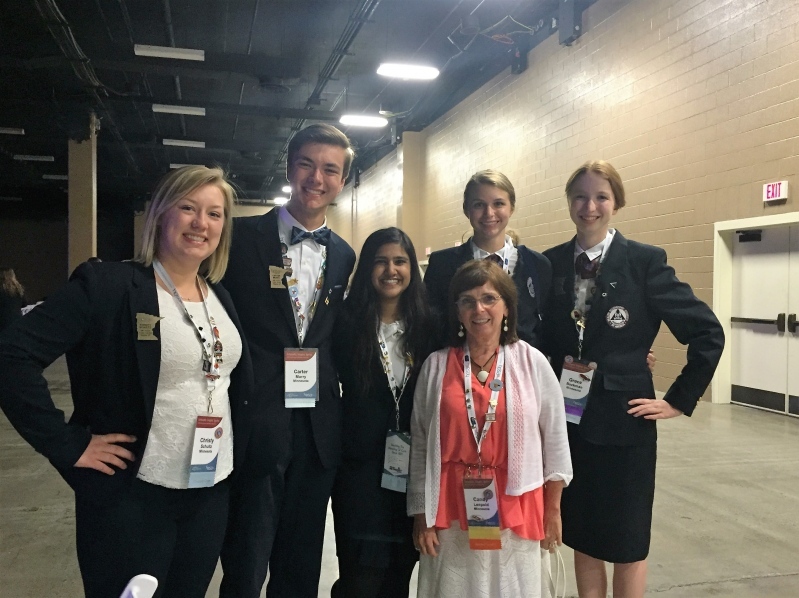 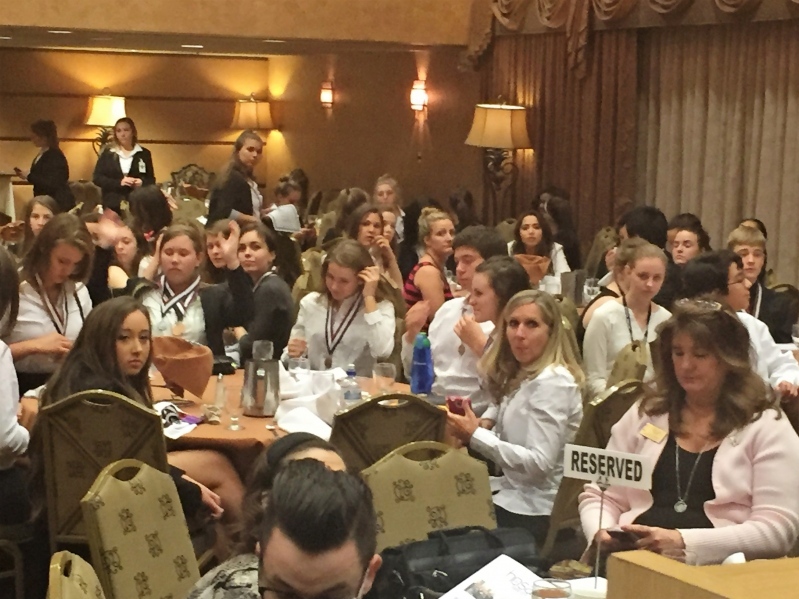 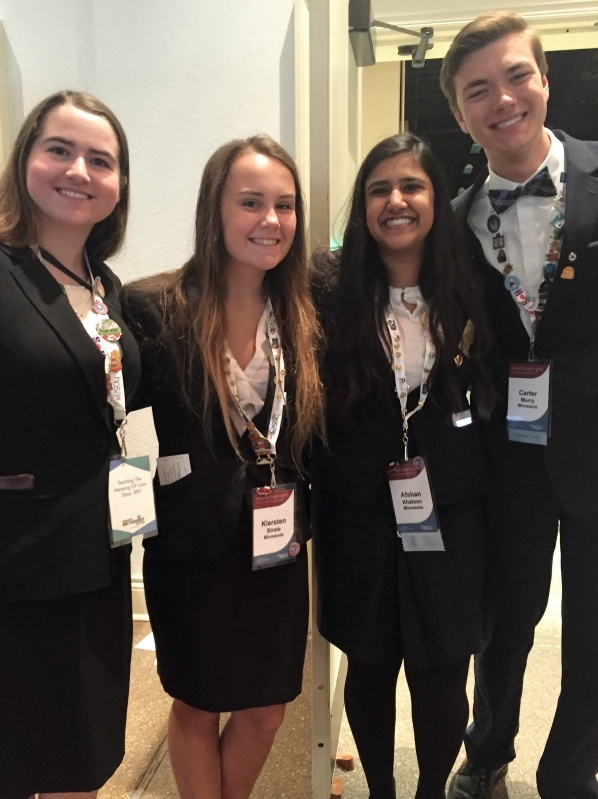 Those finalists were then eligible to go on and compete at this year's First INTERNATIONAL HOSA LEADERSHIP Conference and the celebration of 40 years of HOSA. 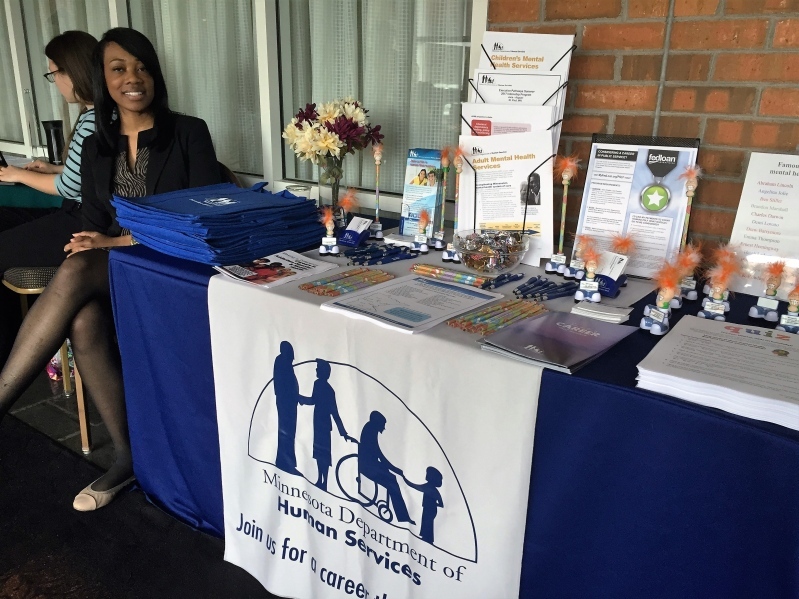 MRC Judge and educational Session Jeannette Tandez Region V Medical Reserve Corps Coordinator. 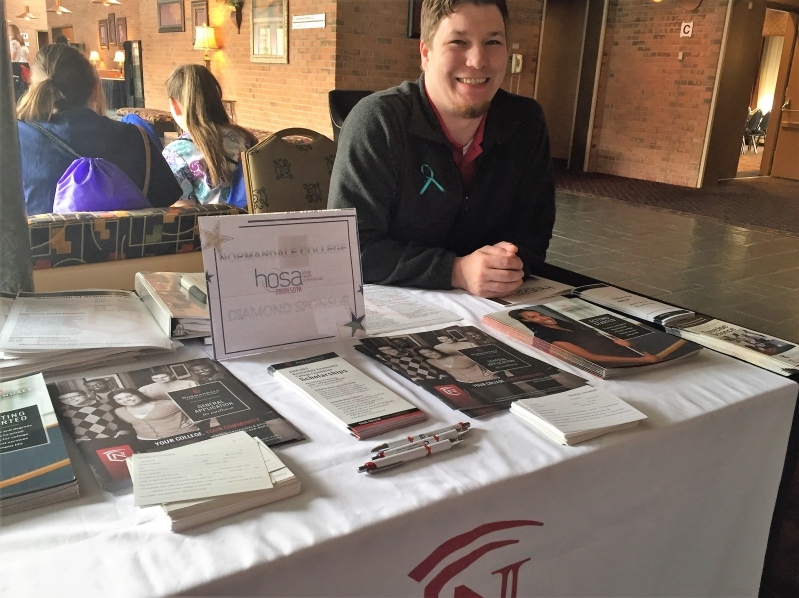 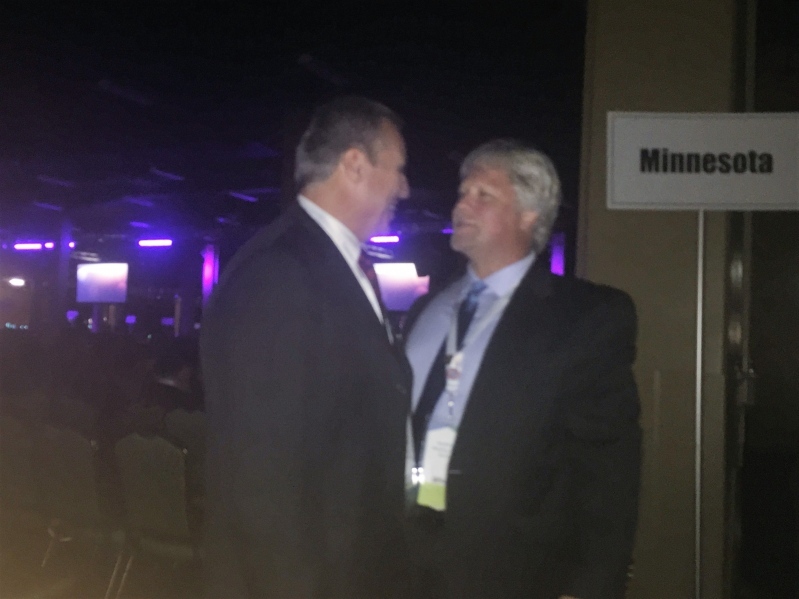 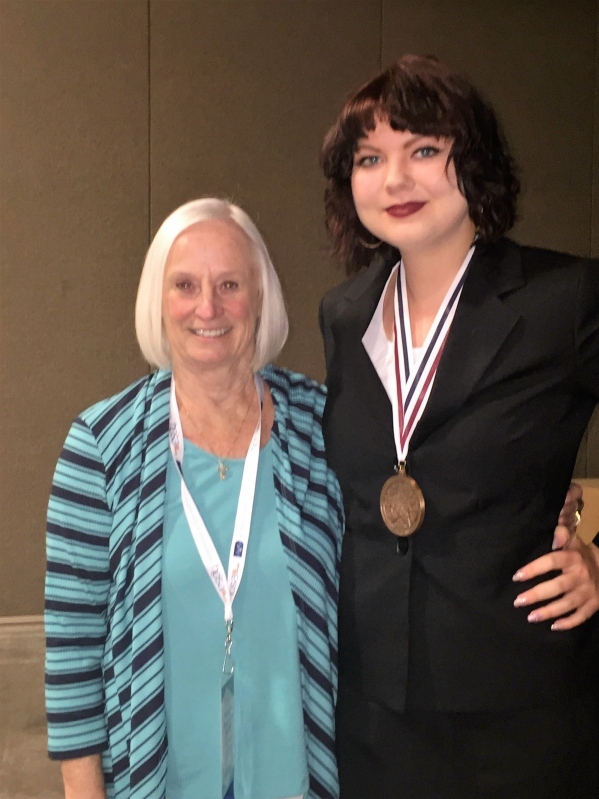 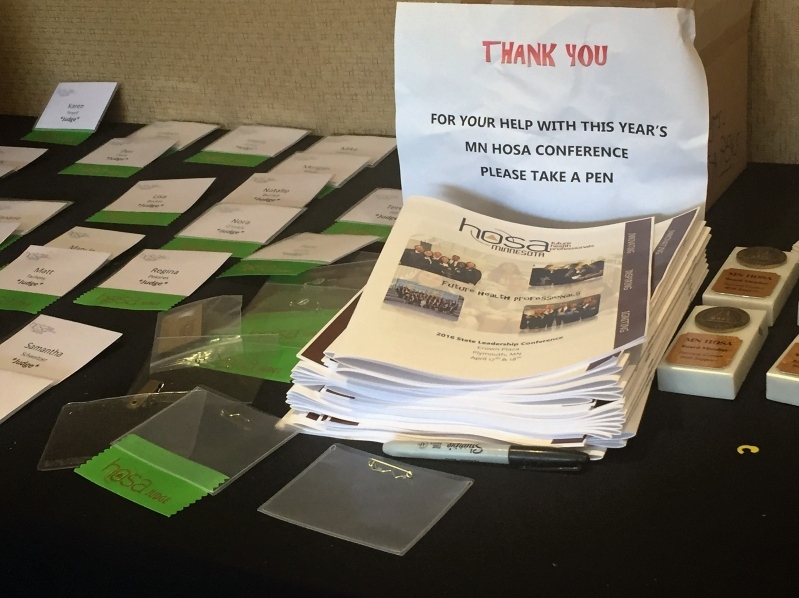 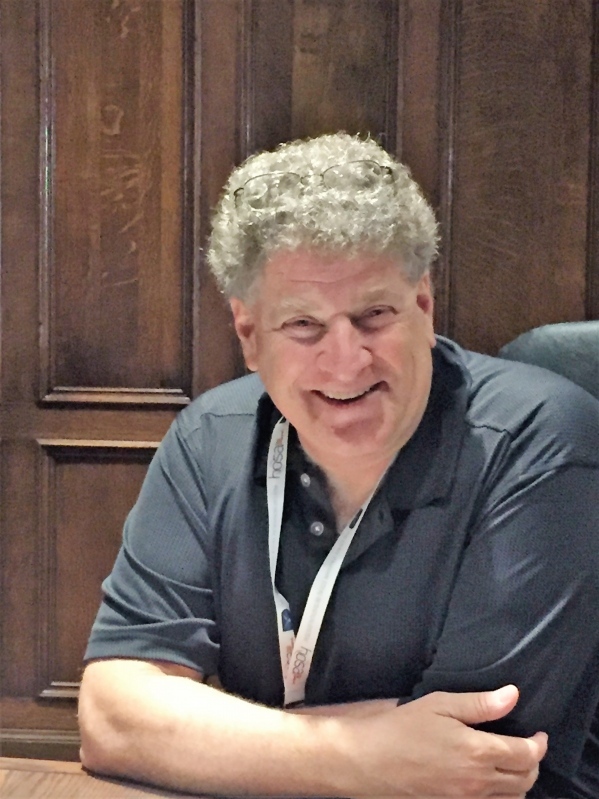 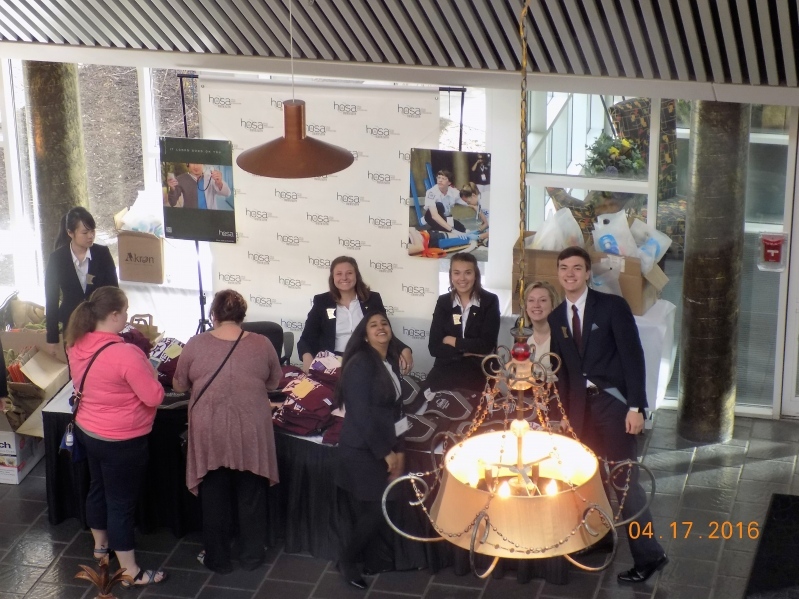 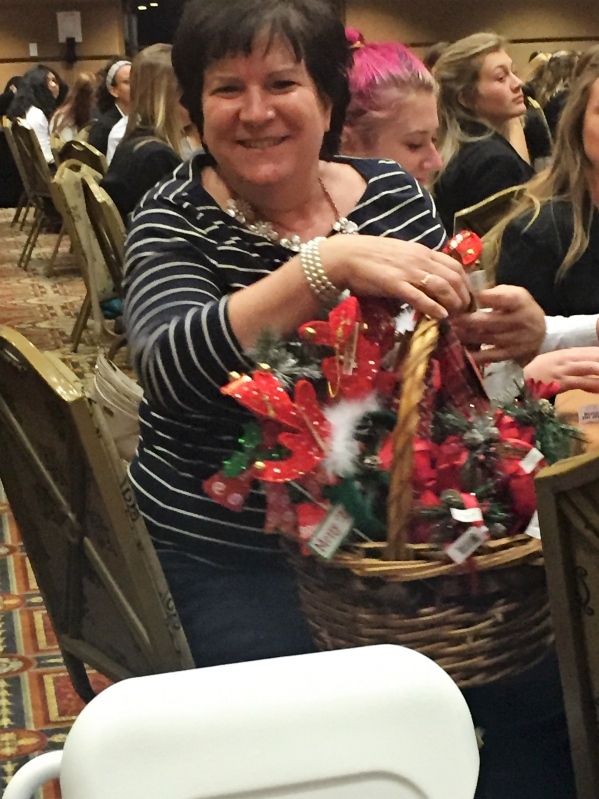 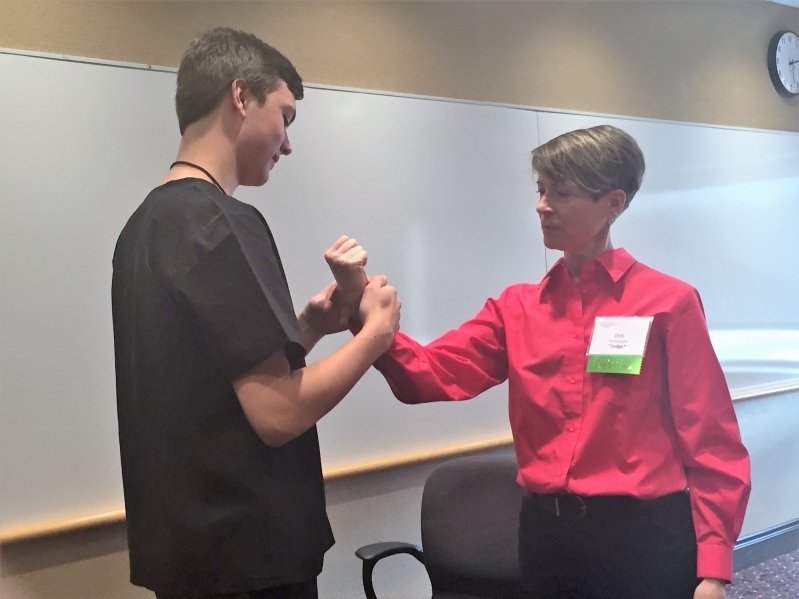 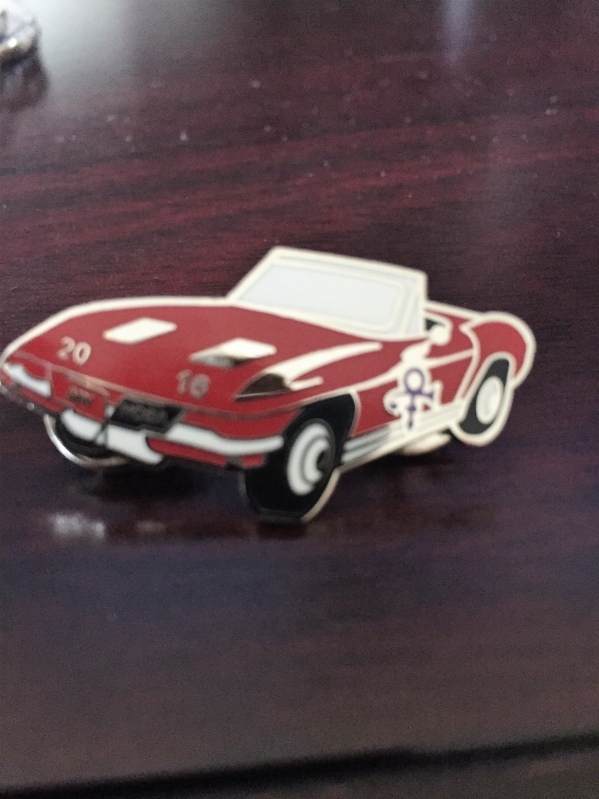 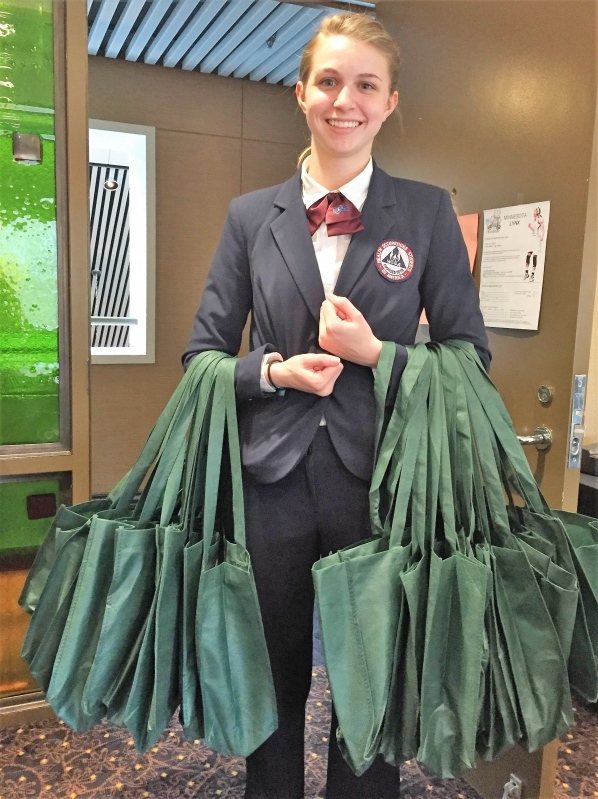 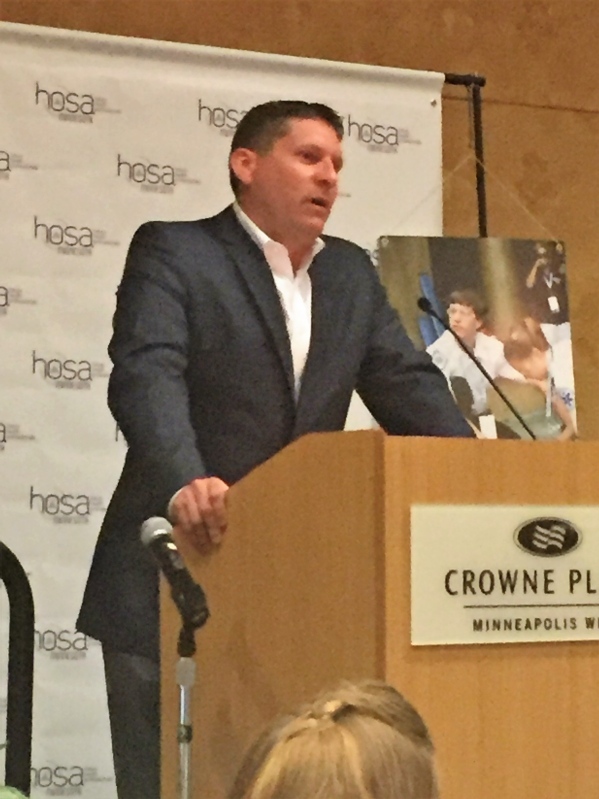 MN HOSA Would not be where it is today without the support and dedication to our Awesome Industry Board, Health Industry and Educational Institutional Judges, Speakers and Mentors, and the great visibility of exhibitors to assist in making choices. 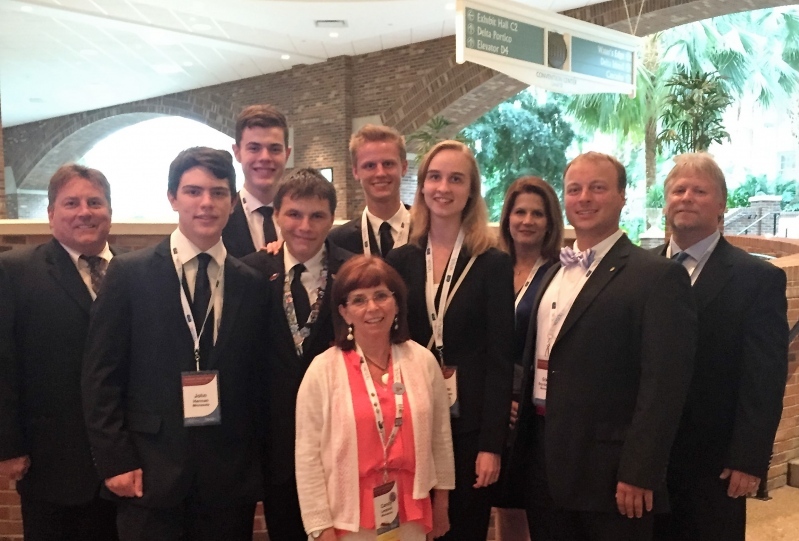 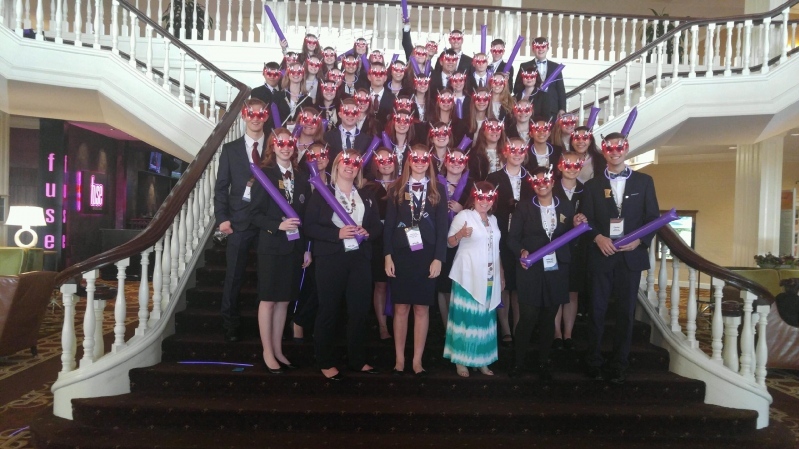 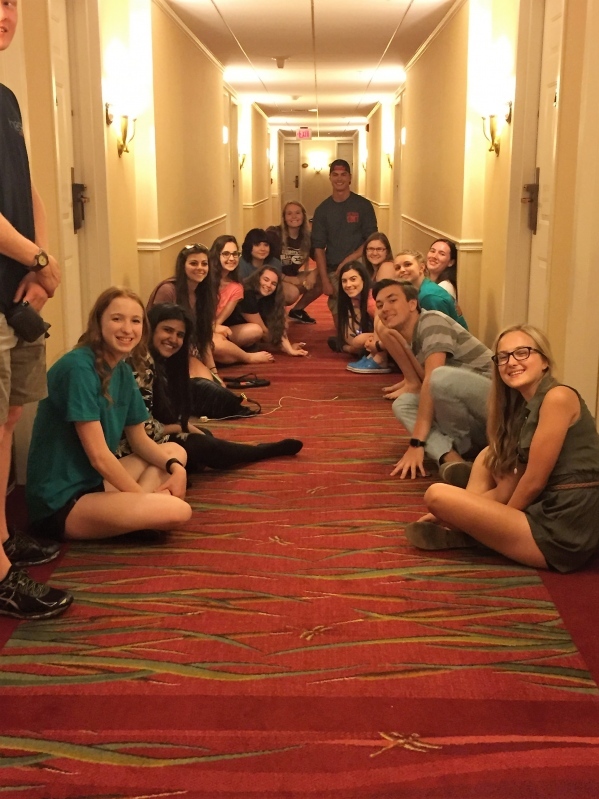 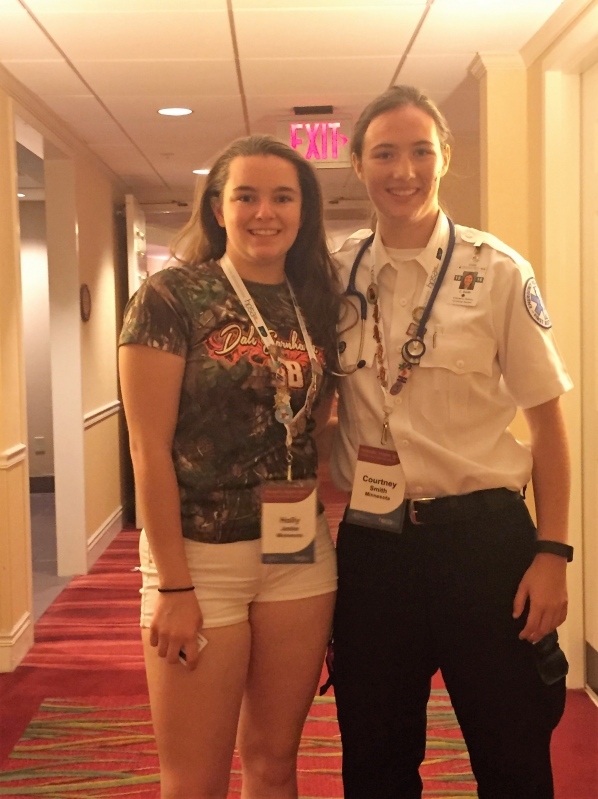 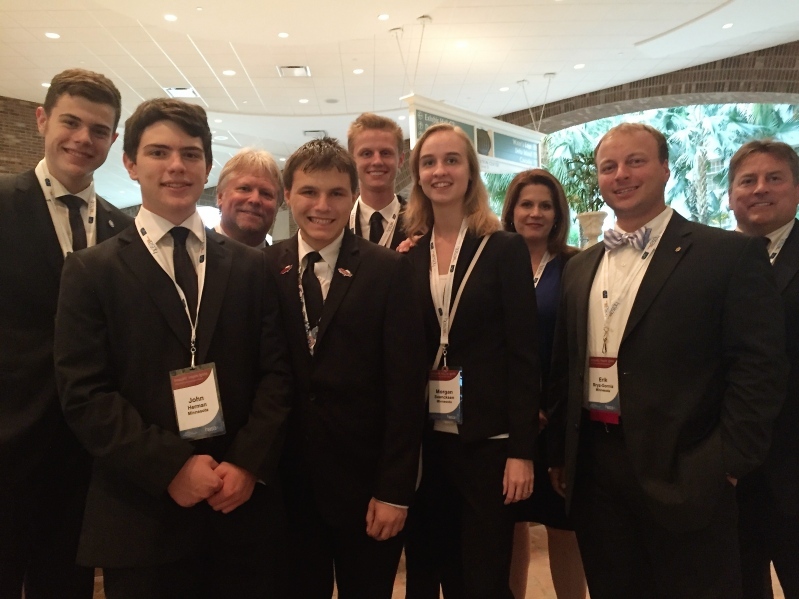 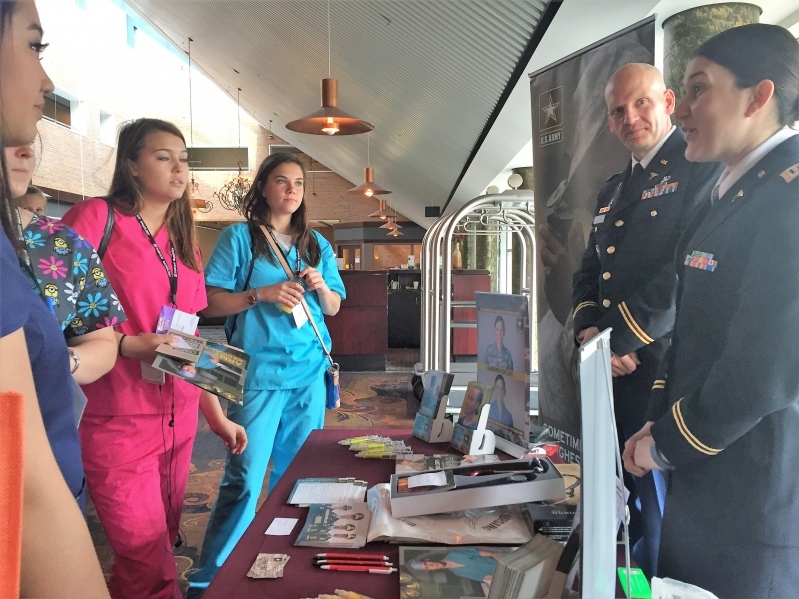 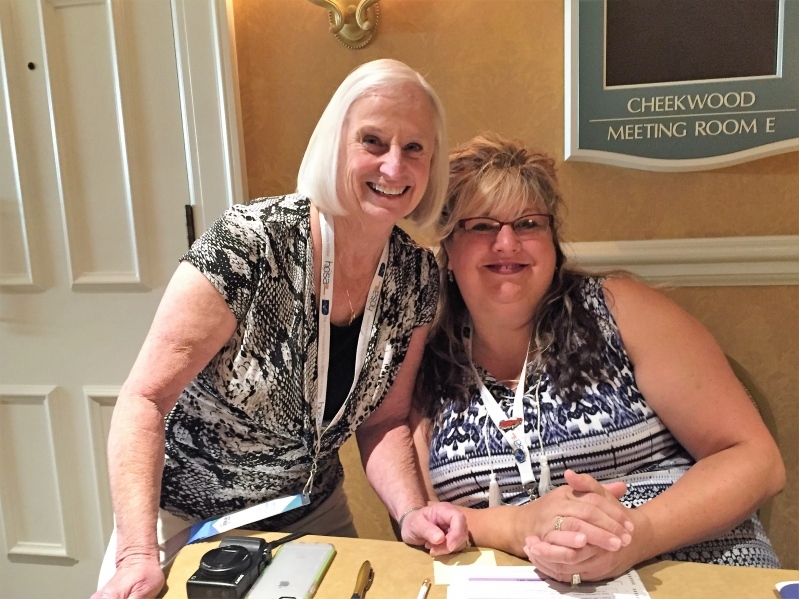 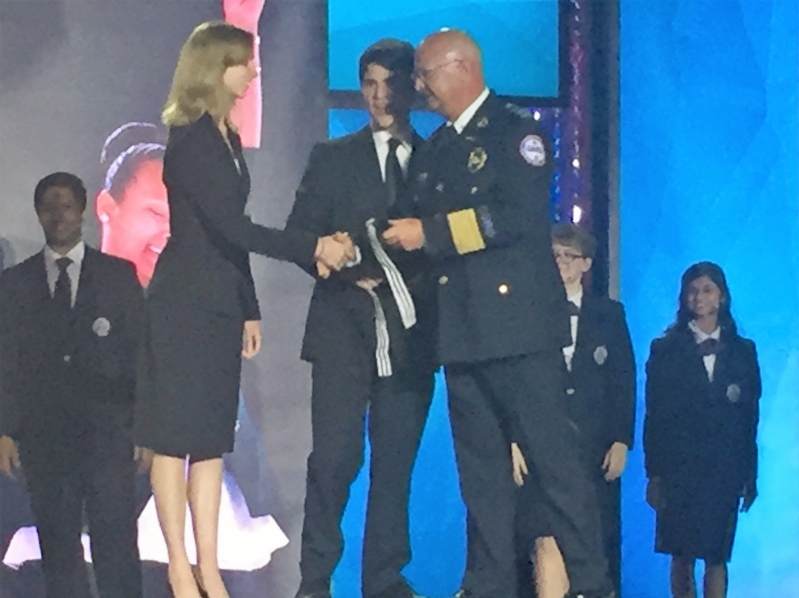 70 MN HOSA Members attended the conference held in Nashville, Tennessee at the Opryland Hotel on June 22nd- 25th. 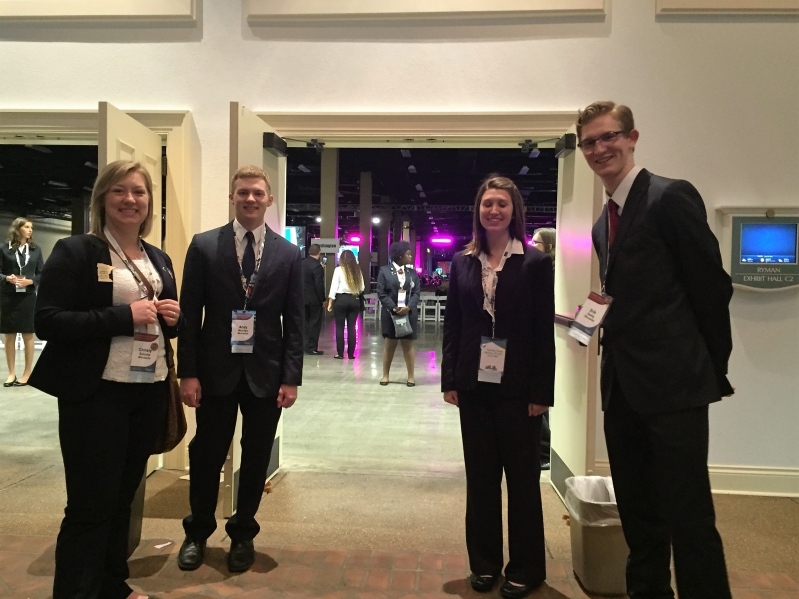 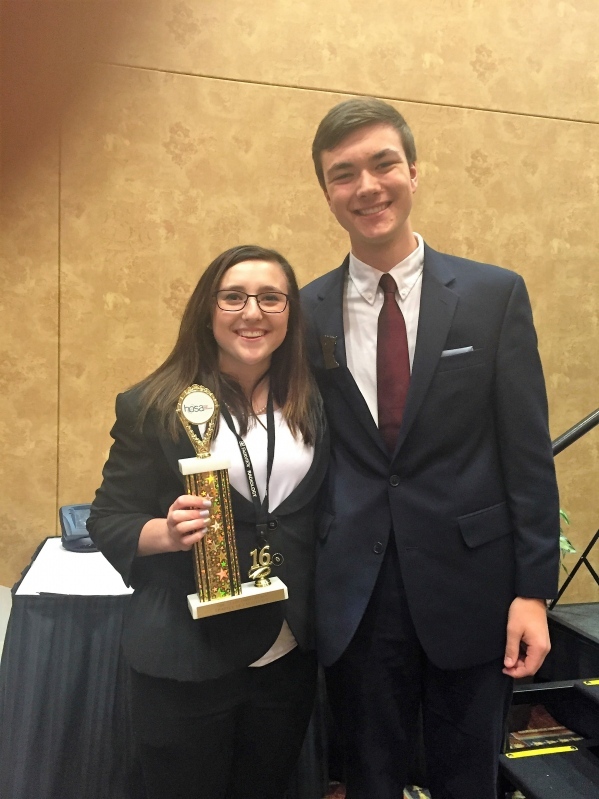 They competed with over 6,200 other competitors and a total of over 9,000 participants. 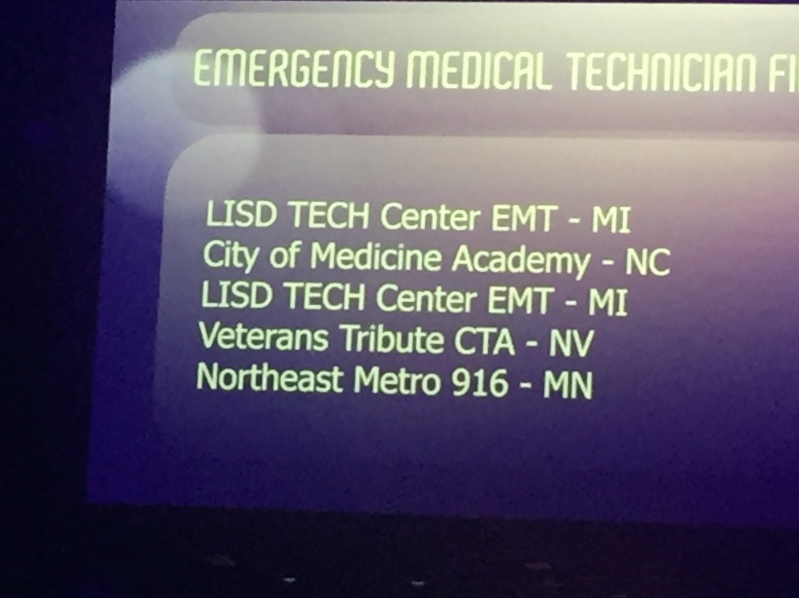 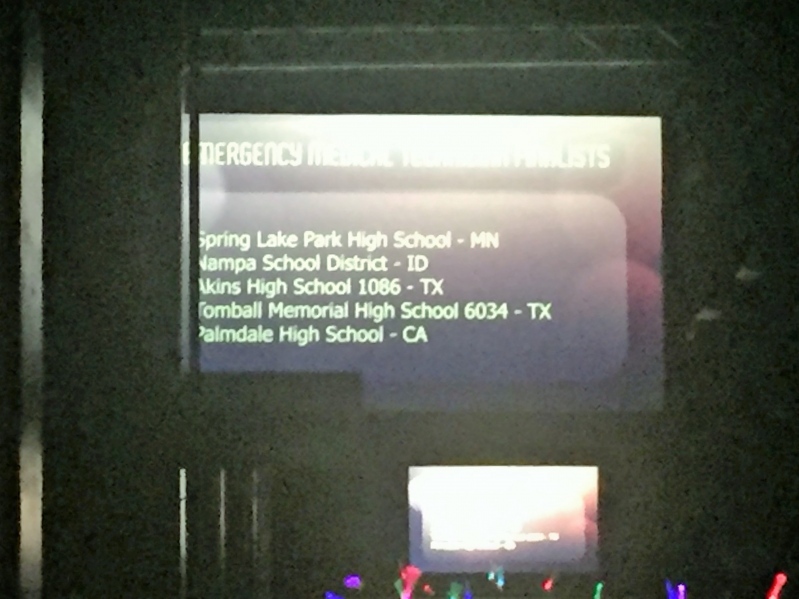 We had a third place finalist in the Knowledge Test- TransCultural Healthcare Serianna Nath from Northeast Metro 916 and the First Place team in EMT from Spring Lake Park Morgan Soencksen and John Herman and the Second Place EMT Team from Northeast Metro 916 Courtney Smith; Holly Jeske. 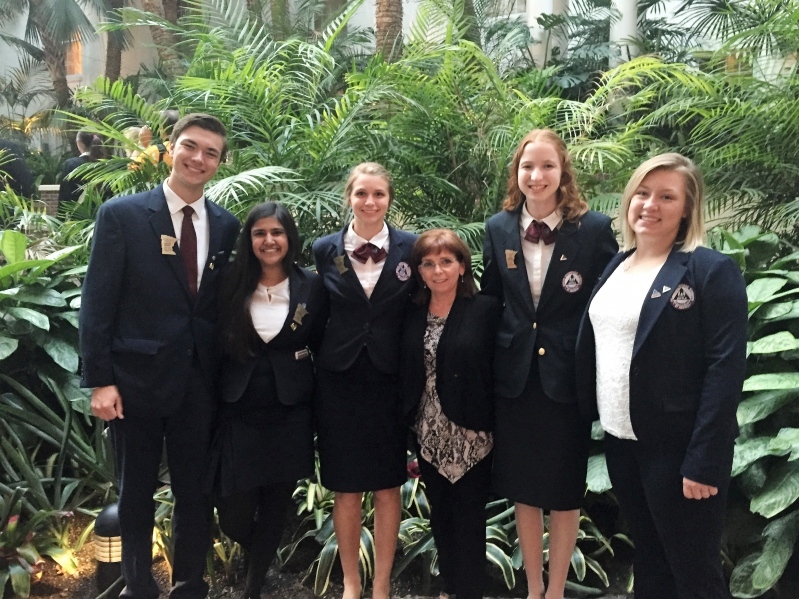 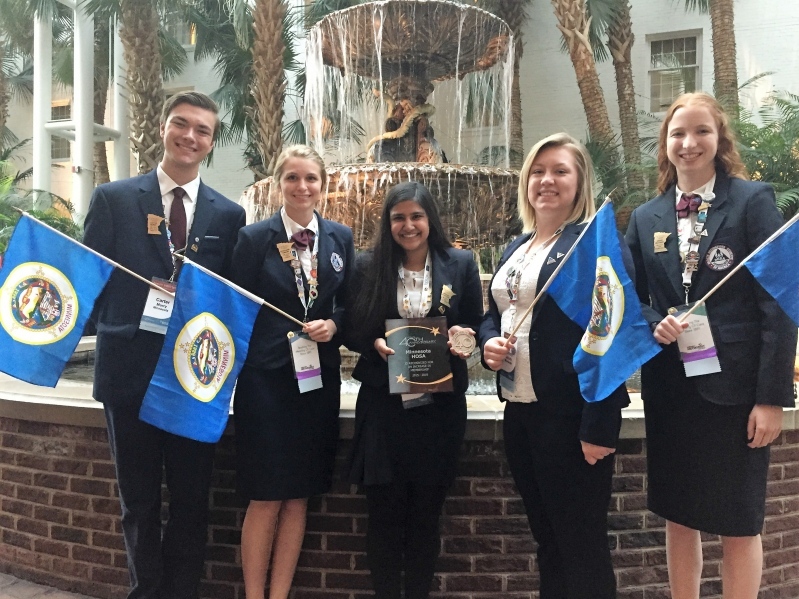 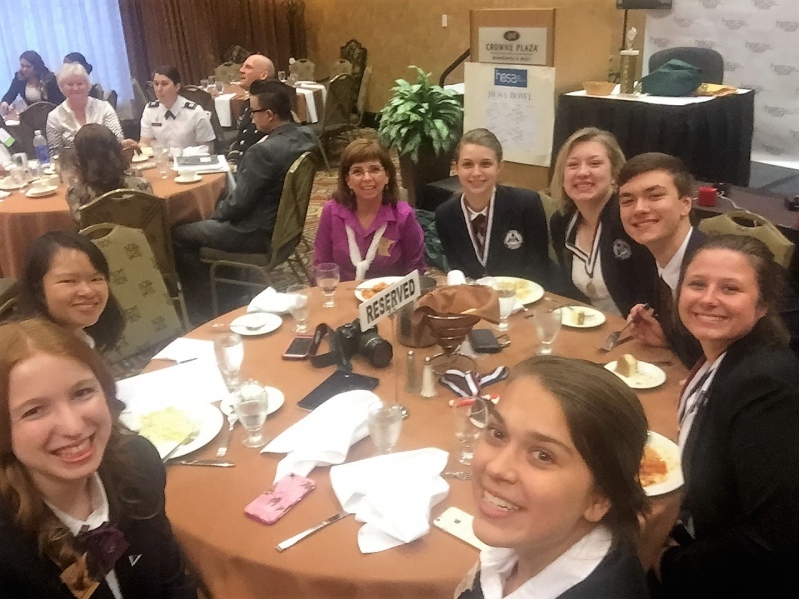 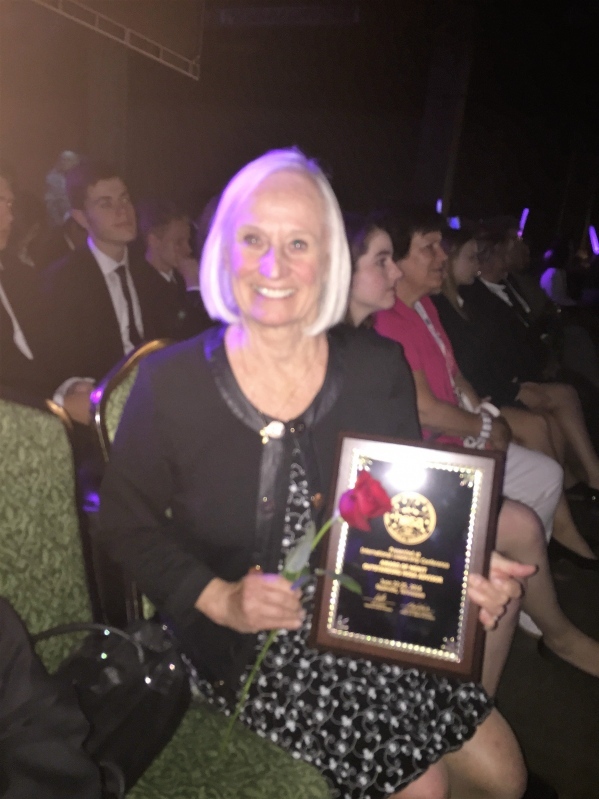 MN HOSA also were recognized with our Outstanding Advisor Judy Meier and Outstanding State Officer Stephanie Hamlin. 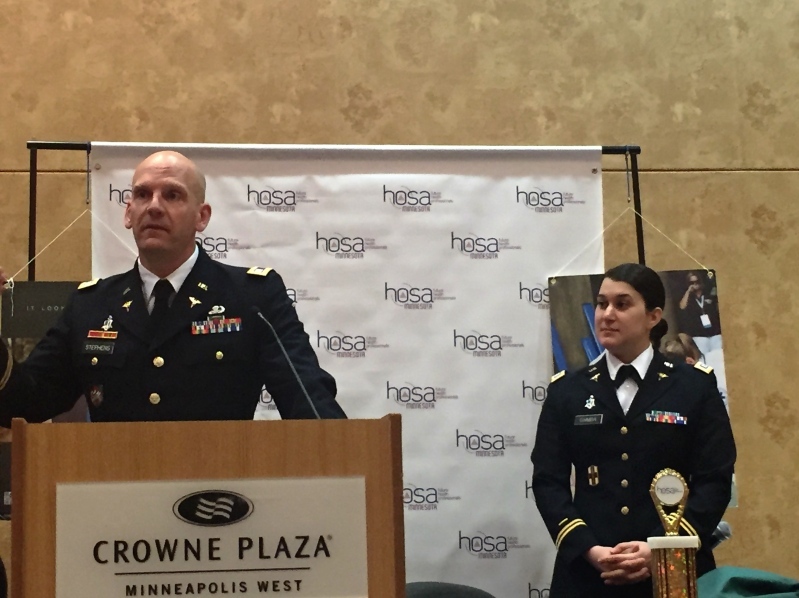 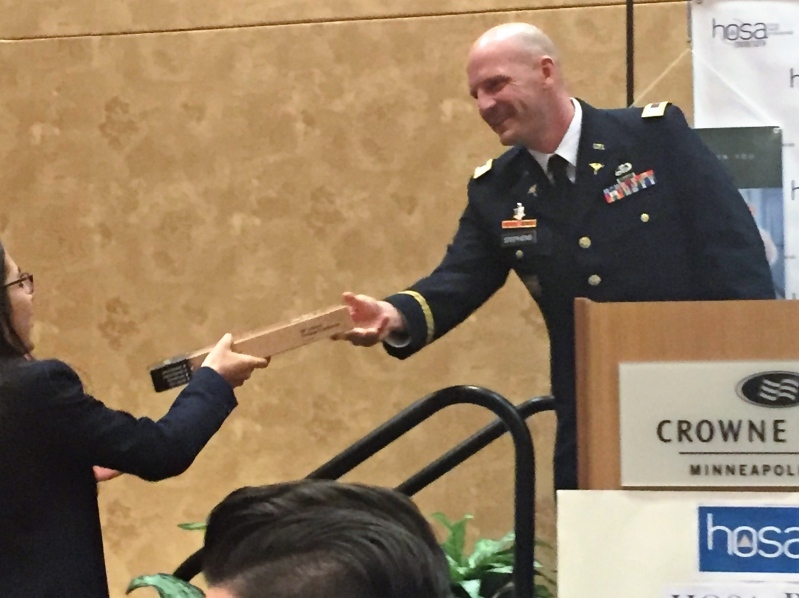 Schools were recognized for their National Service Projects Service Projects and MRC Volunteering including Duluth and Northeast Metro 916. 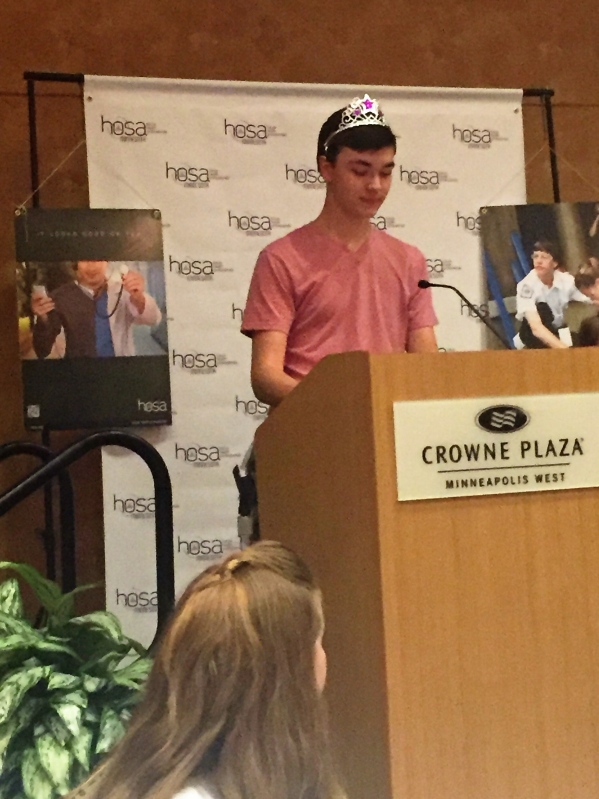 The goal for the coming year is to increase yet again our membership with new chapters and members, increase our visibility in our chapter communities and increase conference attendance, start Middle School HOSA Chapters, work with our National Service Project with National Alliance on Mental Illness (NAMI) and have more members involved in the MN HOSA MRC (Medical Reserve Corps) with camps and volunteering. 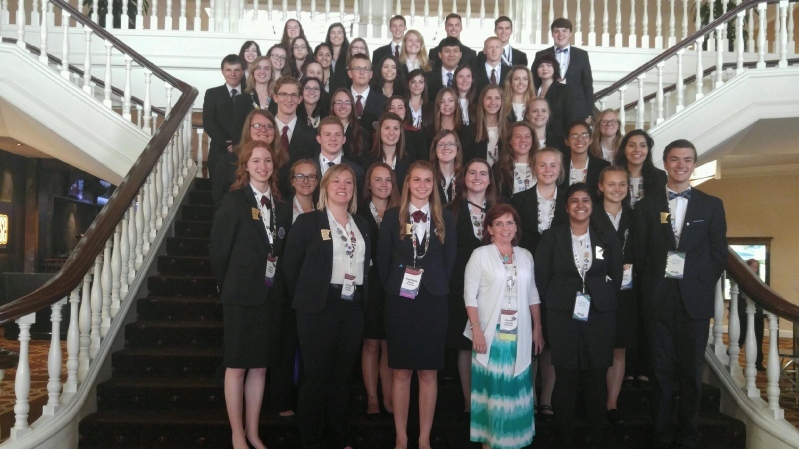 Take a look at our organization- I think it may be just what you need in your schools. 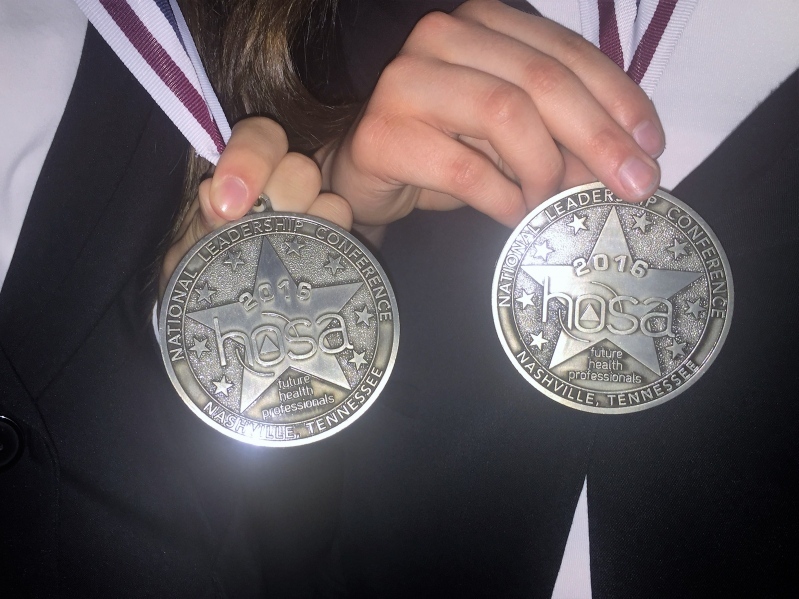 Check out the National Website www.hosa.org as well as ours. 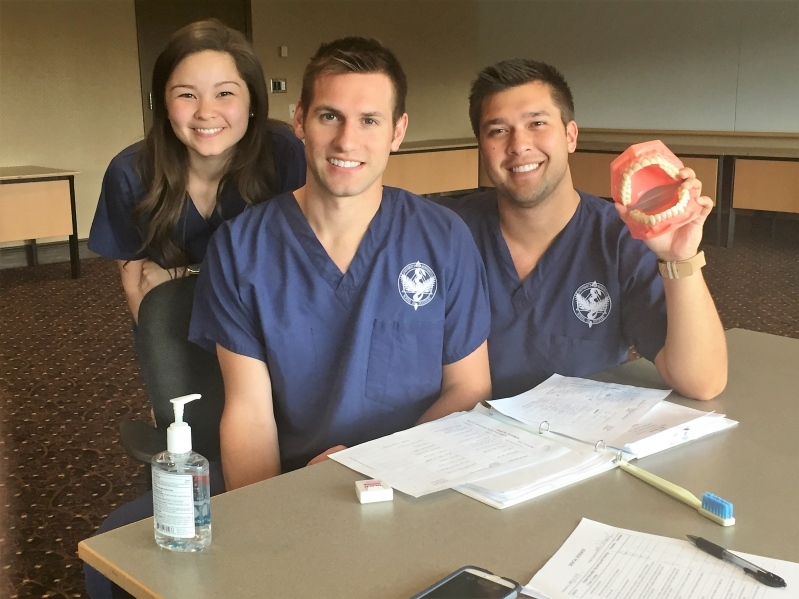 We are ready to welcome you and help you and your class to become a part of the Future Health Professionals. 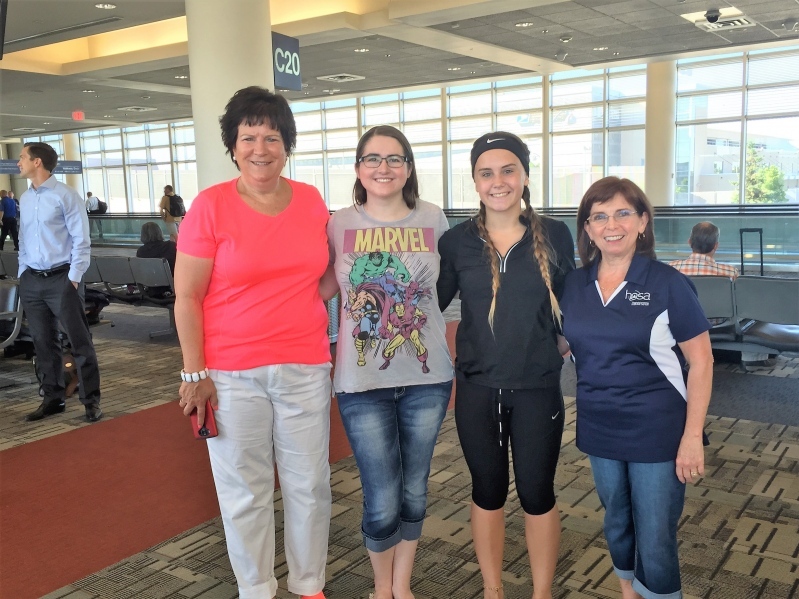 On to Nashville for the First ever International HOSA Leadership Conference. 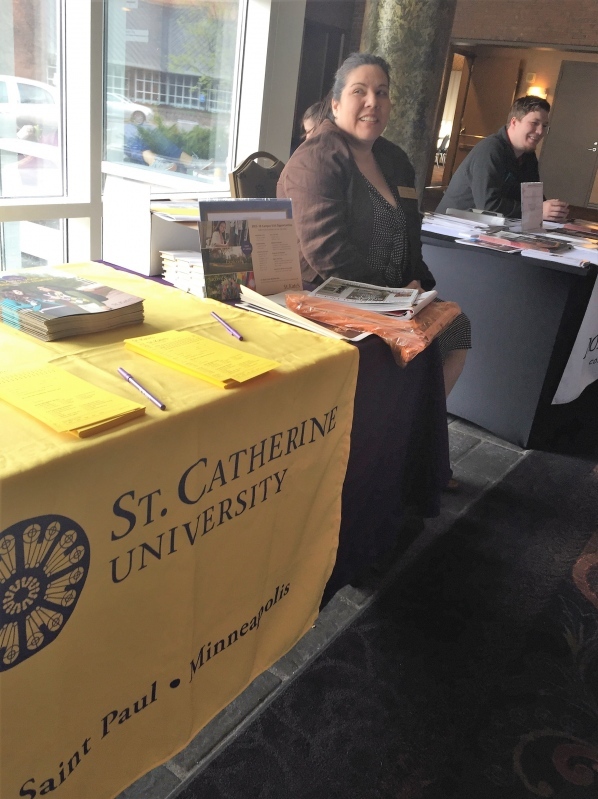 Are you ready to join us now? 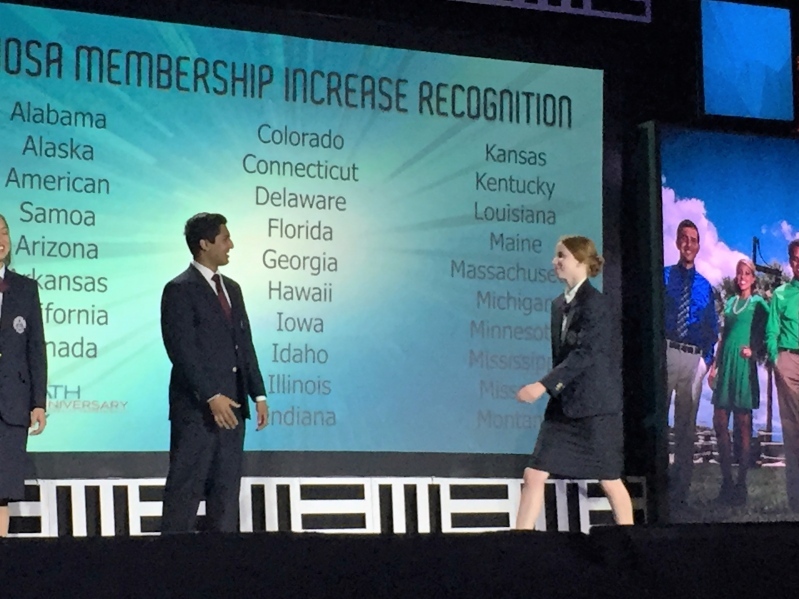 Take your future goals to a new level!! 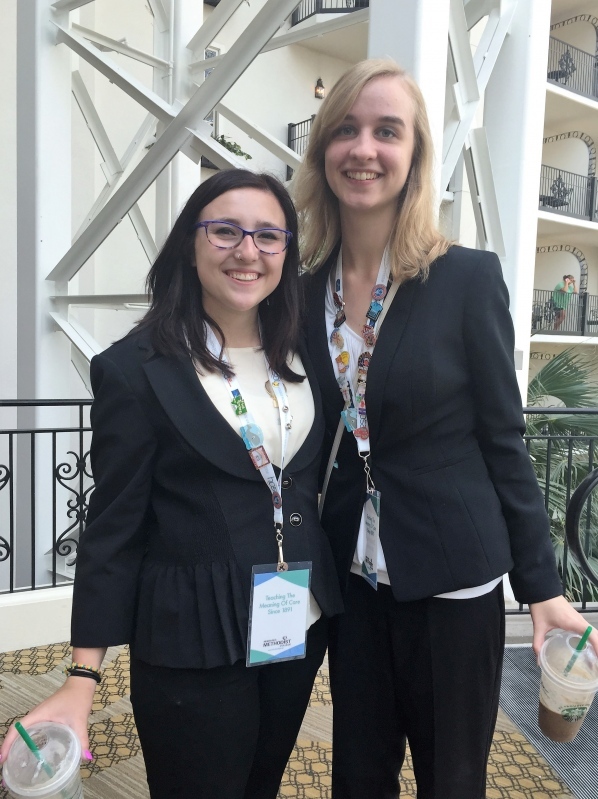 International Conference 2017- Orlando, Florida -Disney World!